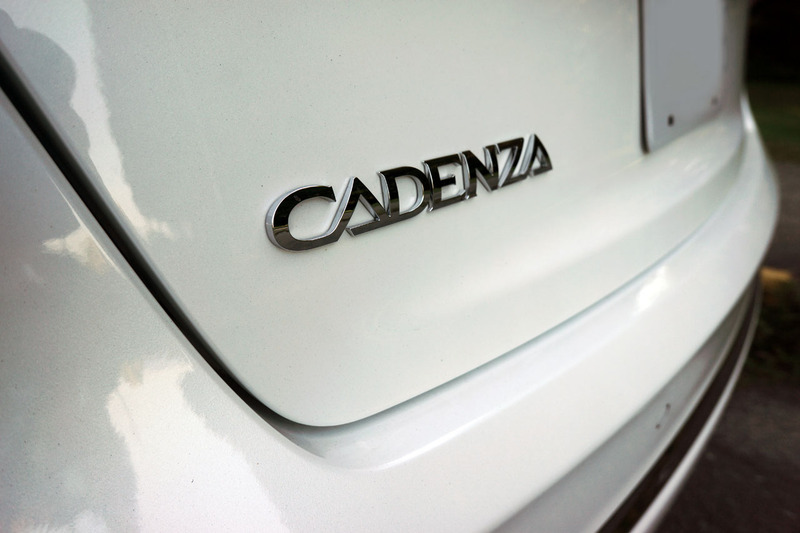 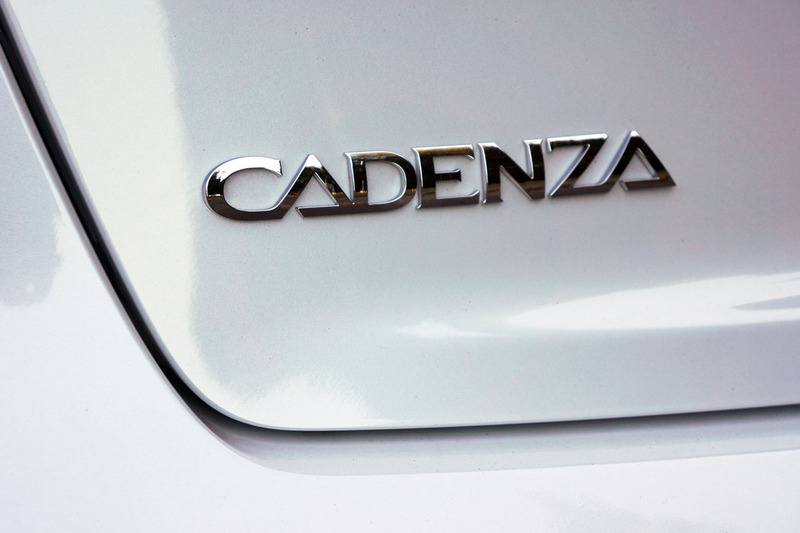 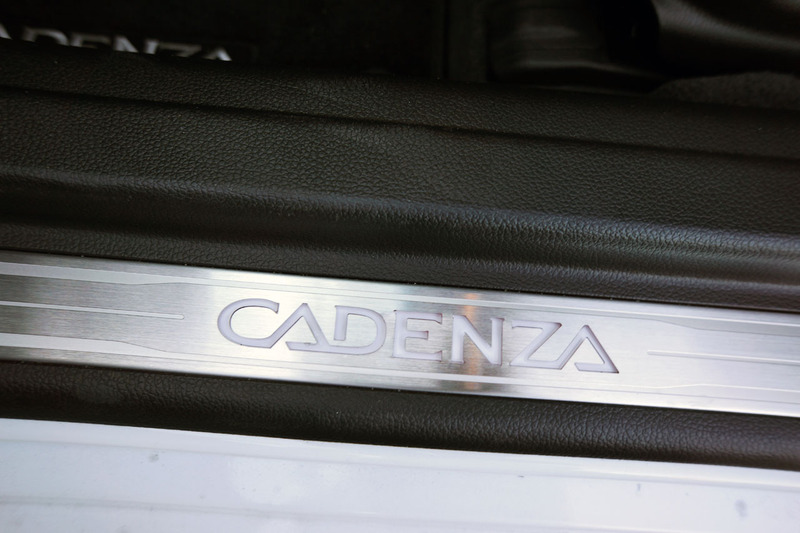 Cadenza, but that would surely be a mistake. 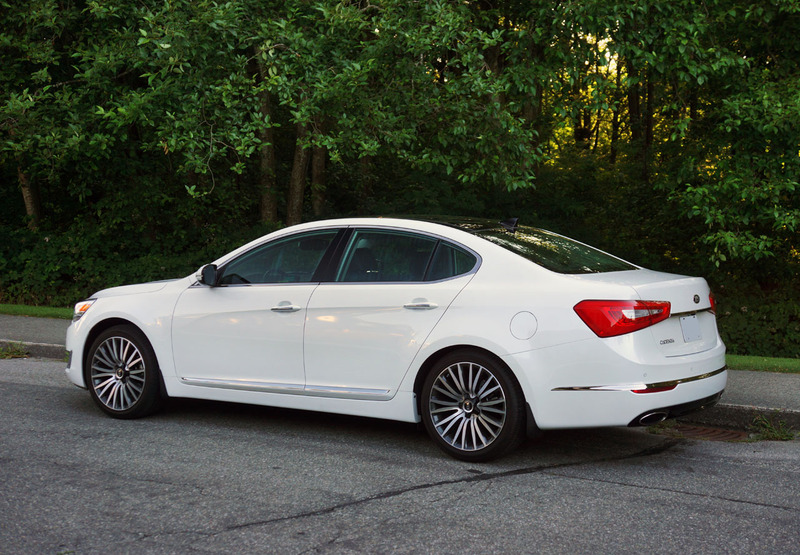 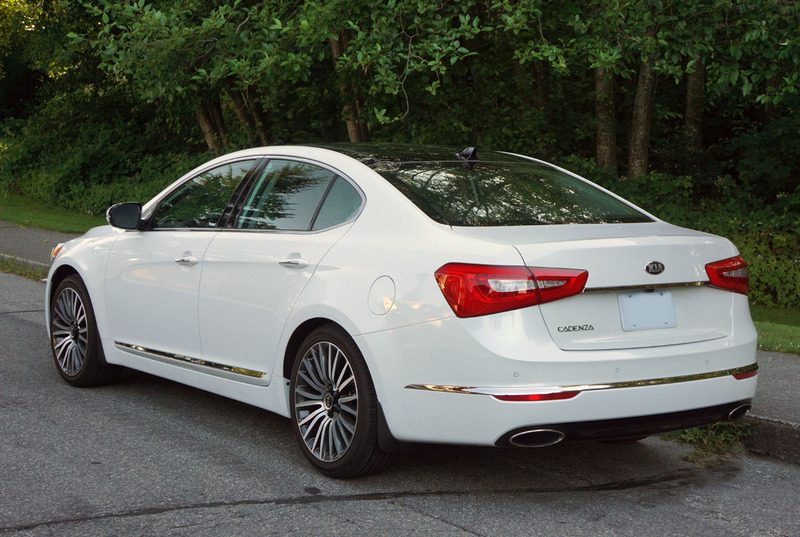 Not only will the Cadenza easily outpace the pricier K900 on the sales charts but it’s an especially refined luxury car all on its own, and likewise does a similarly excellent job of imitating, or should I more appropriately say emulating its premium-badged luxury competition. 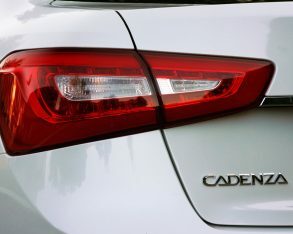 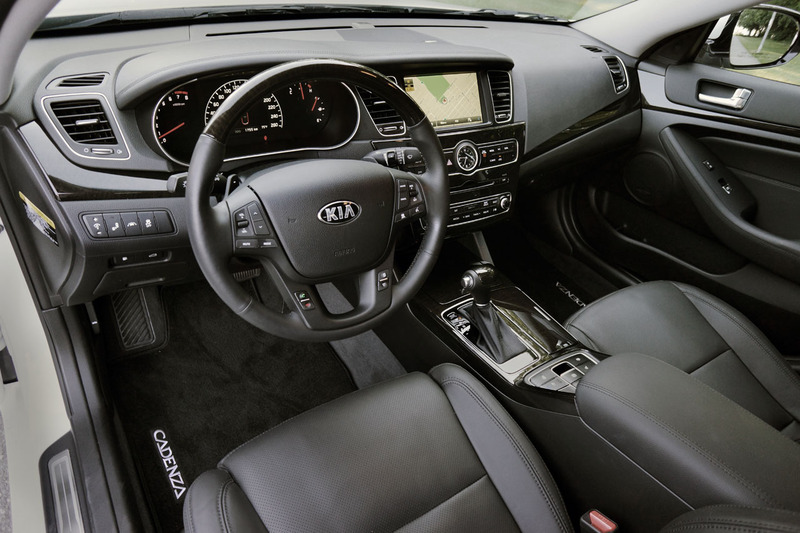 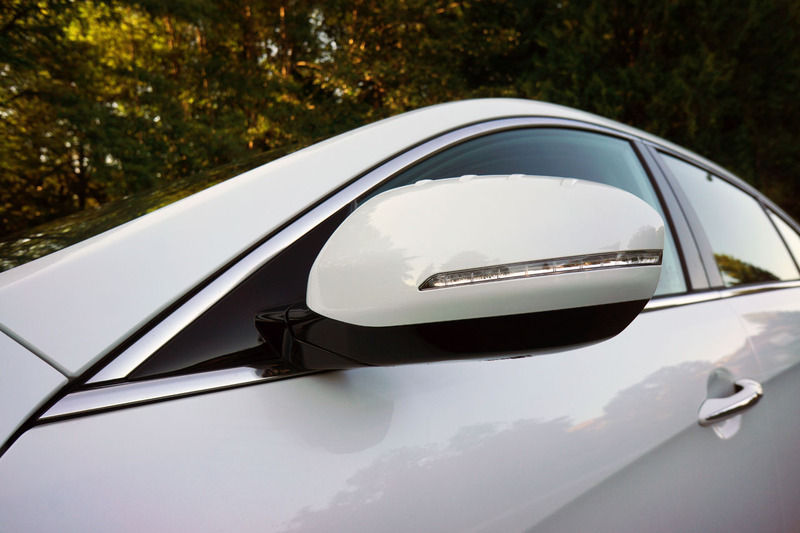 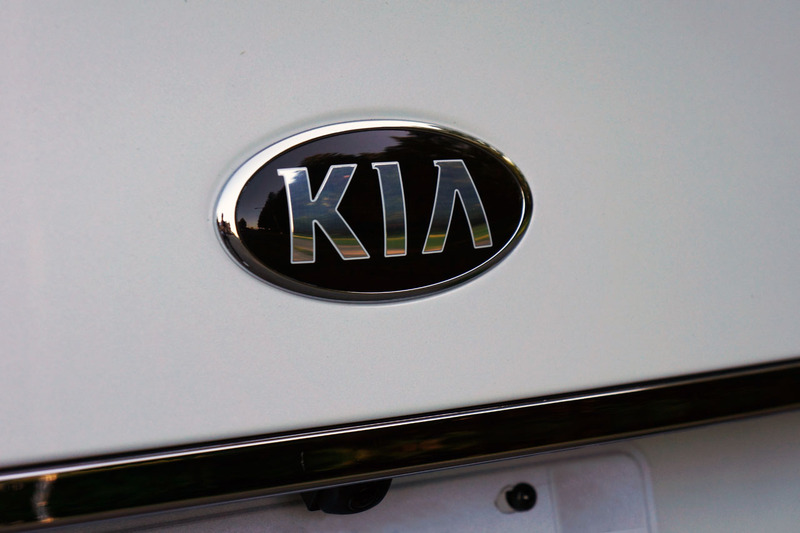 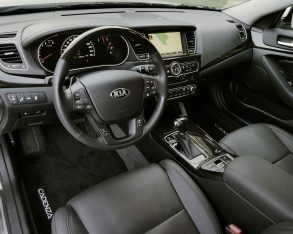 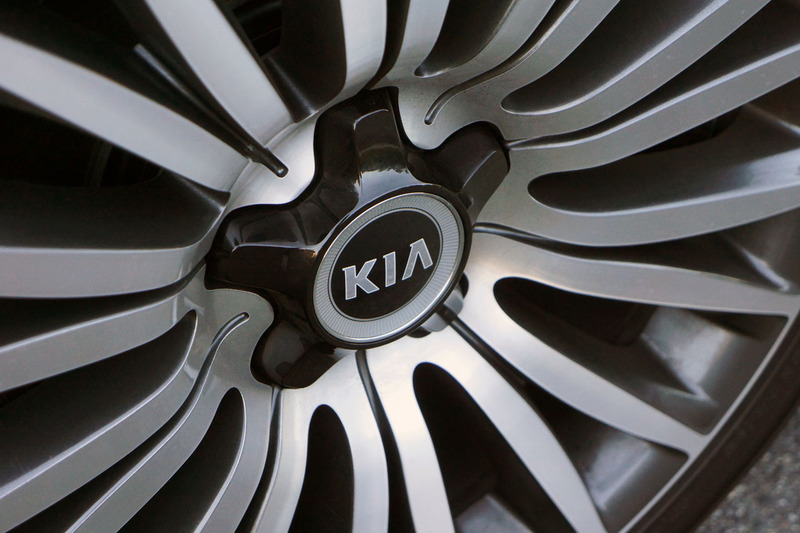 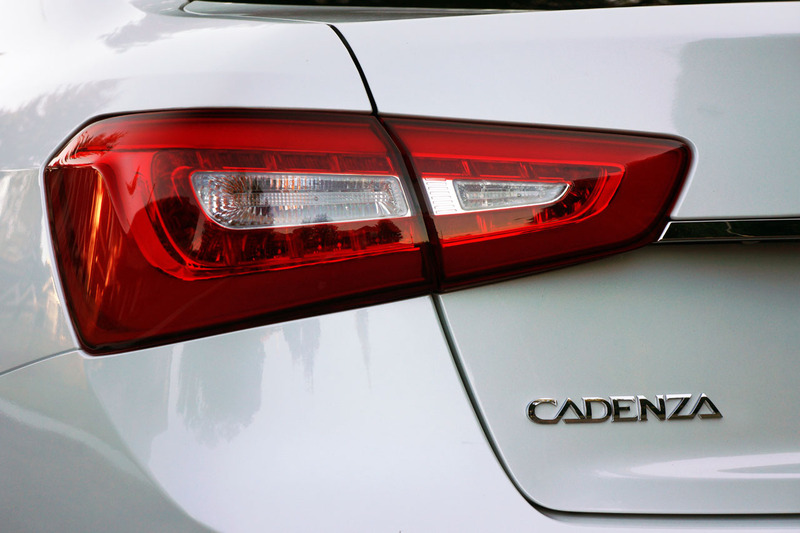 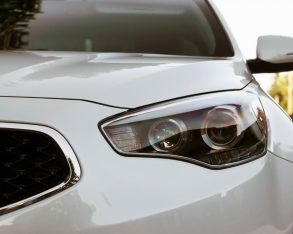 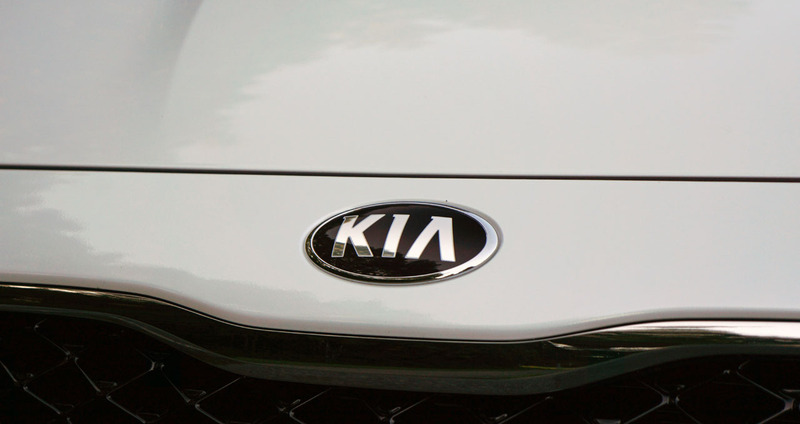 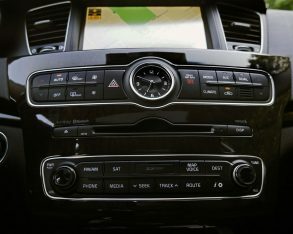 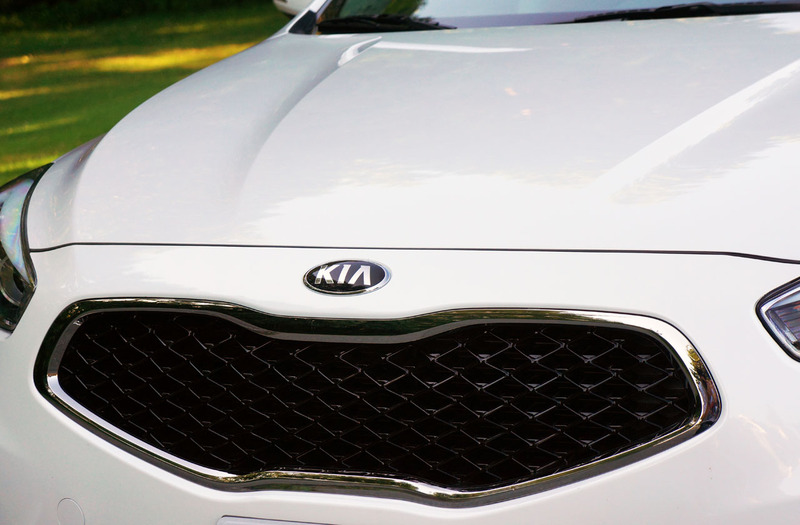 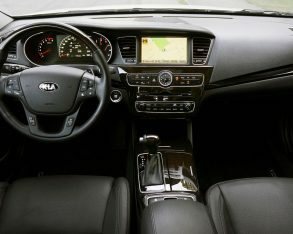 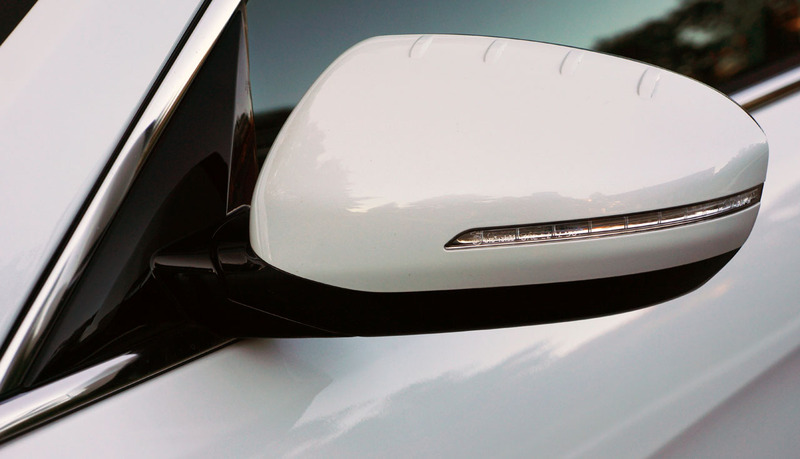 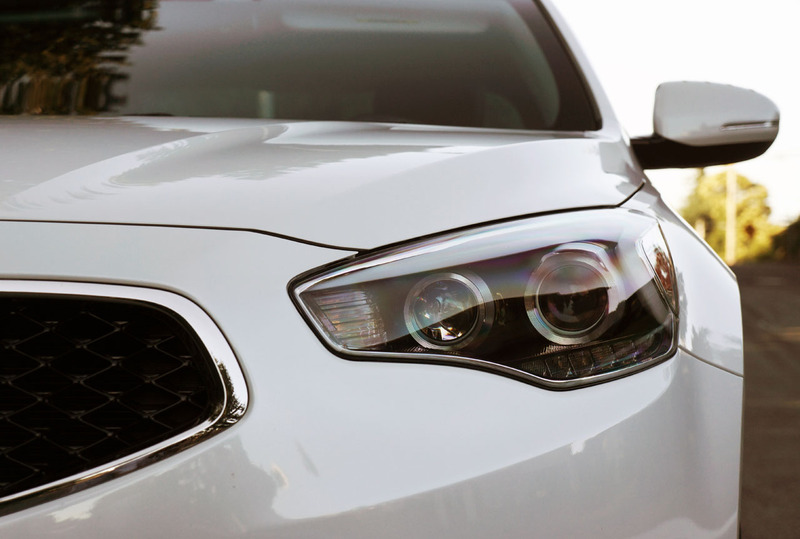 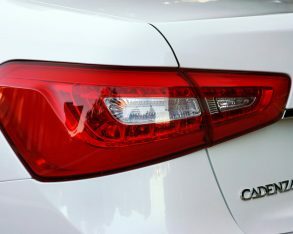 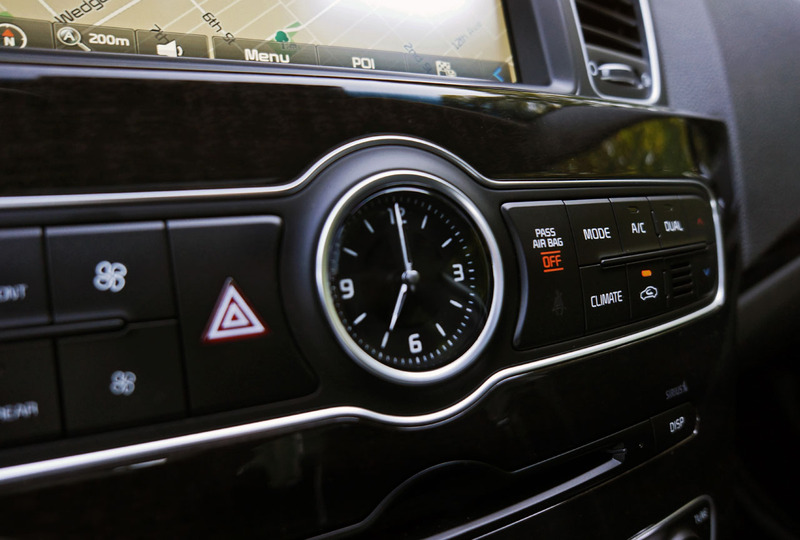 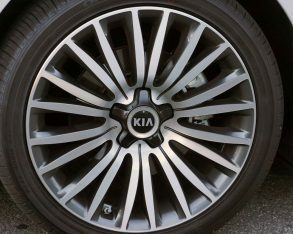 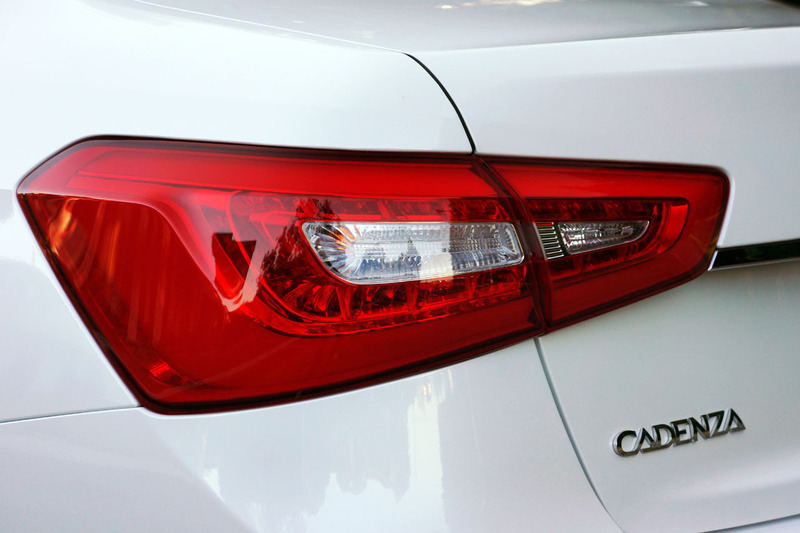 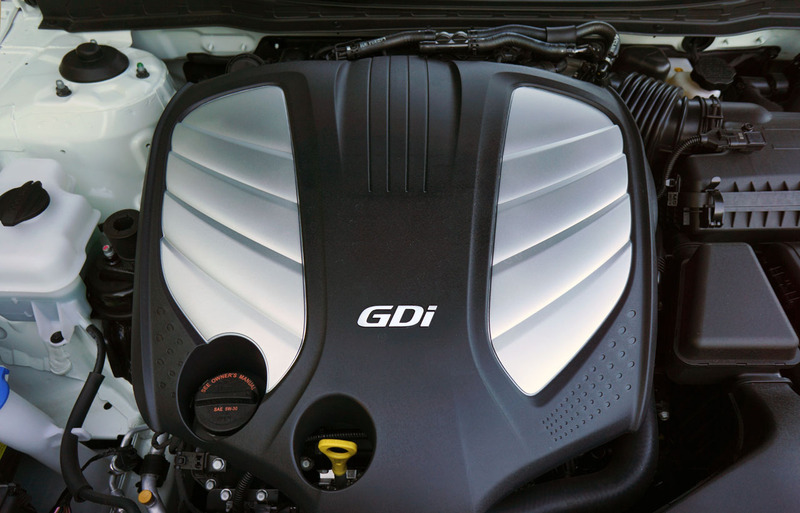 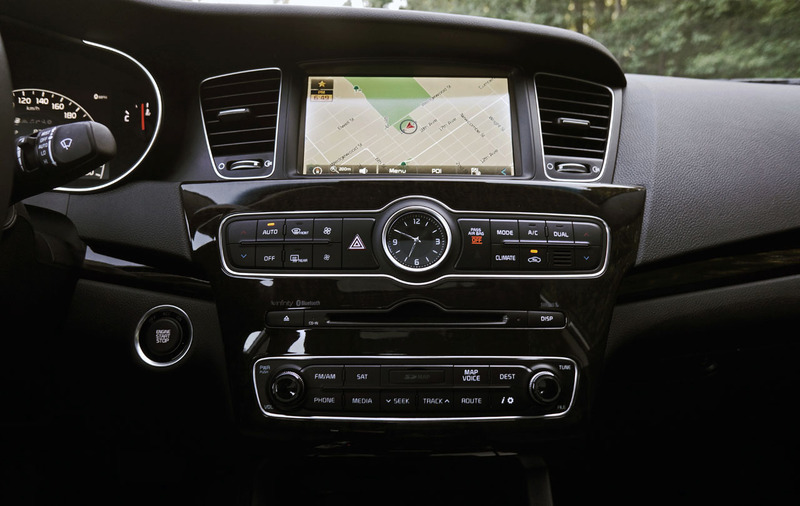 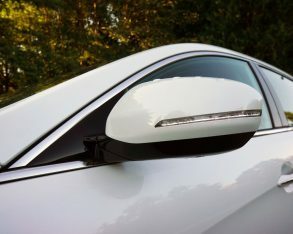 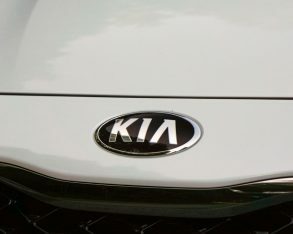 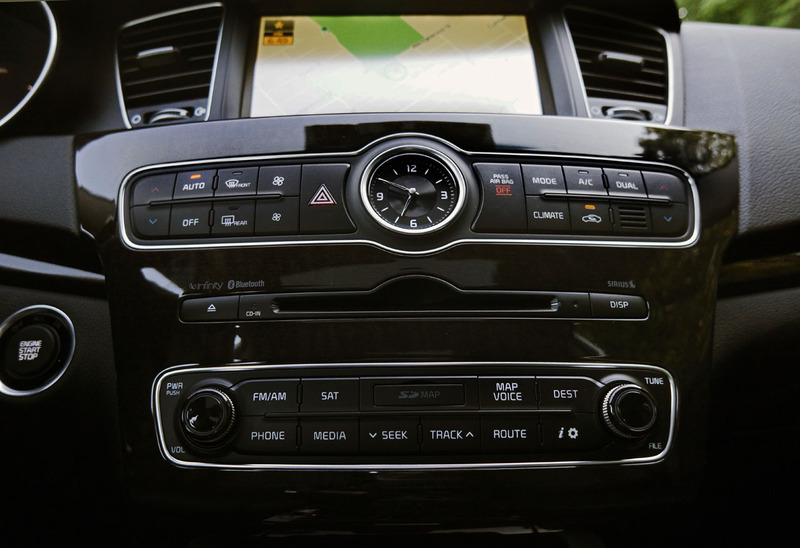 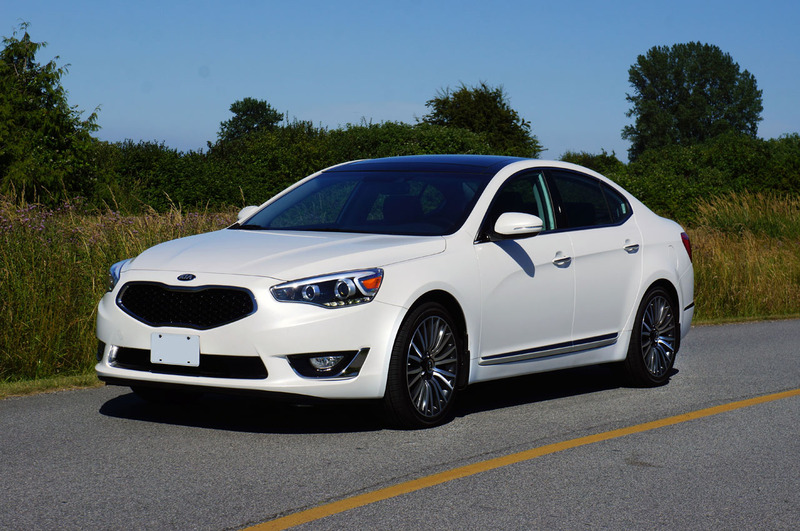 with a mainstream nameplate, but as with each and every one of Kia’s models the Cadenza delivers more premium features than expected for a lot less money than the competition. 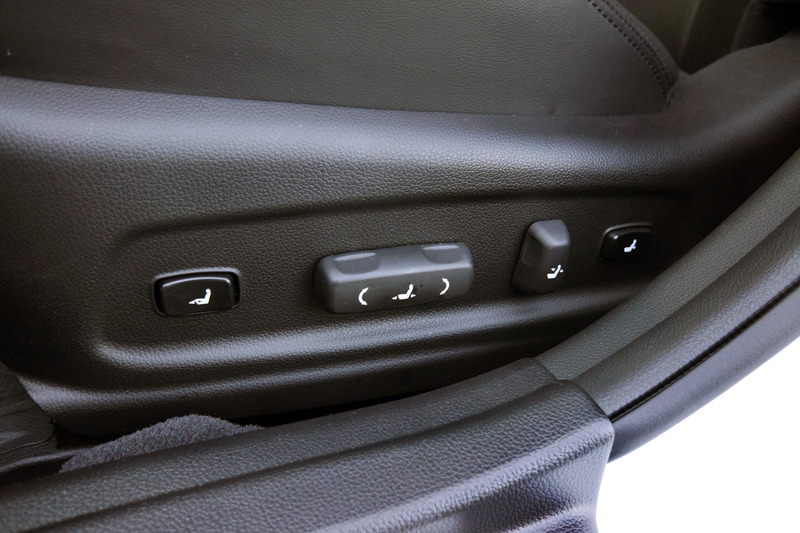 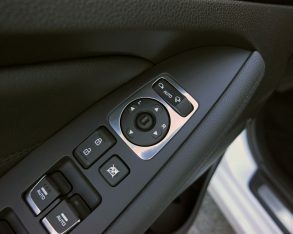 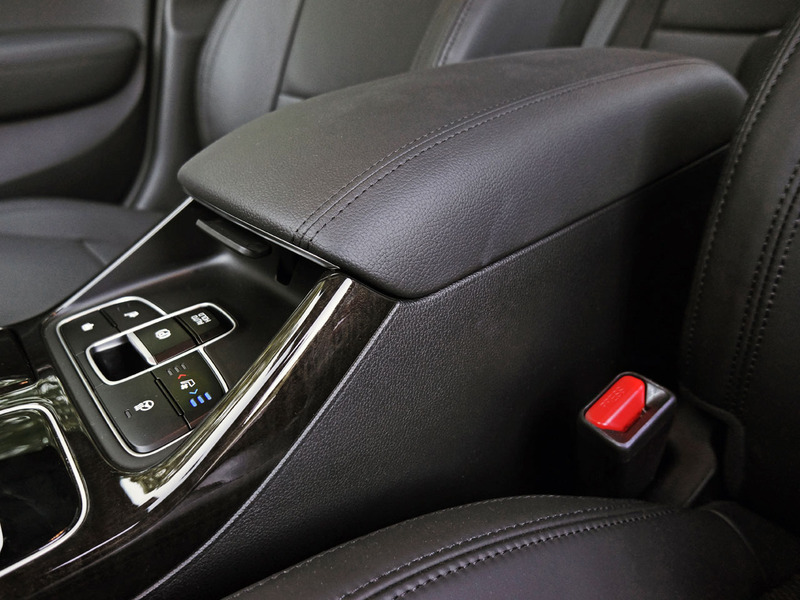 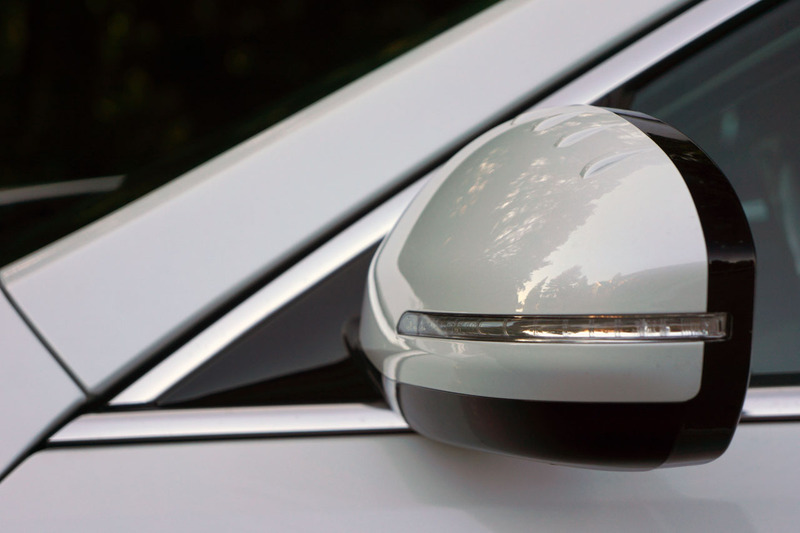 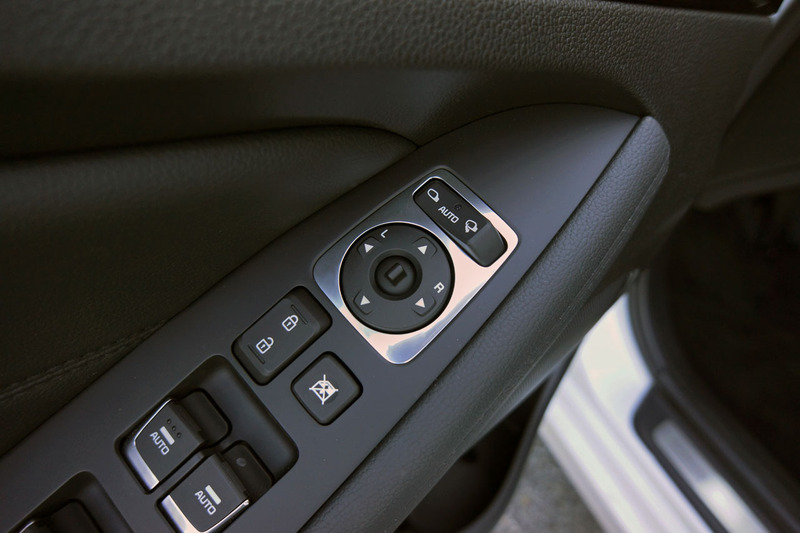 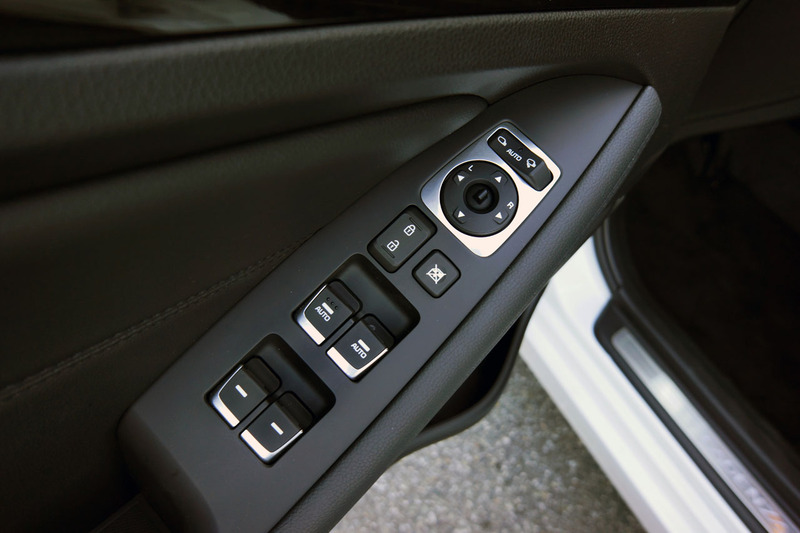 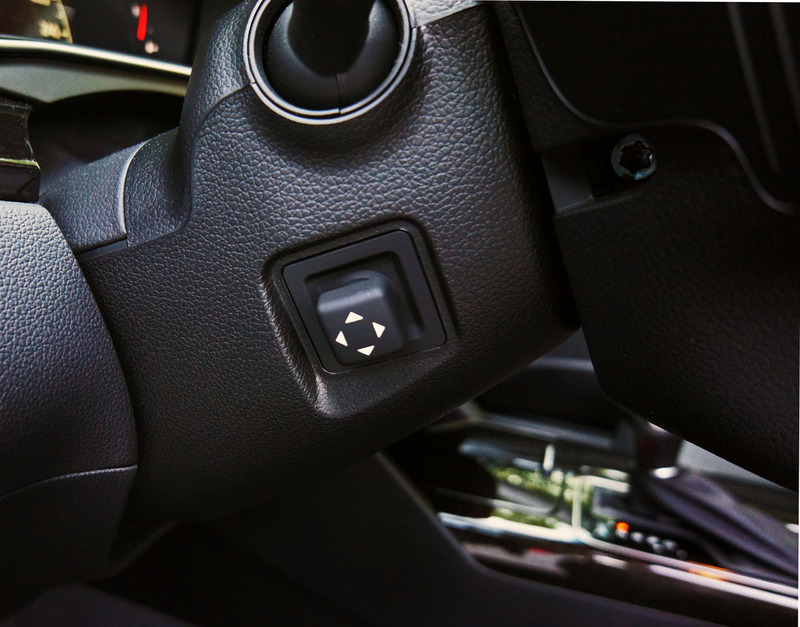 driver’s seat with memory, that latter of which also adjusts the heated and powered tilt and telescopic steering column and power-folding side mirrors. 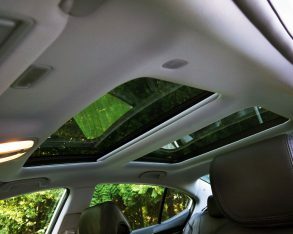 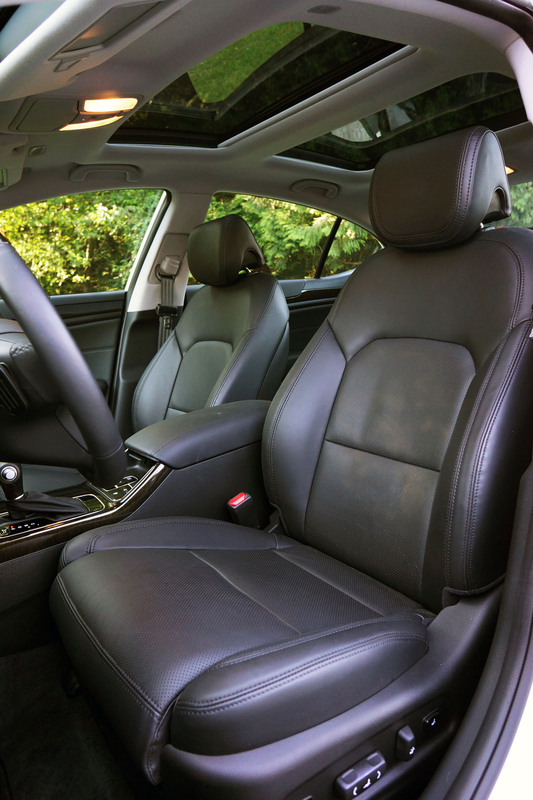 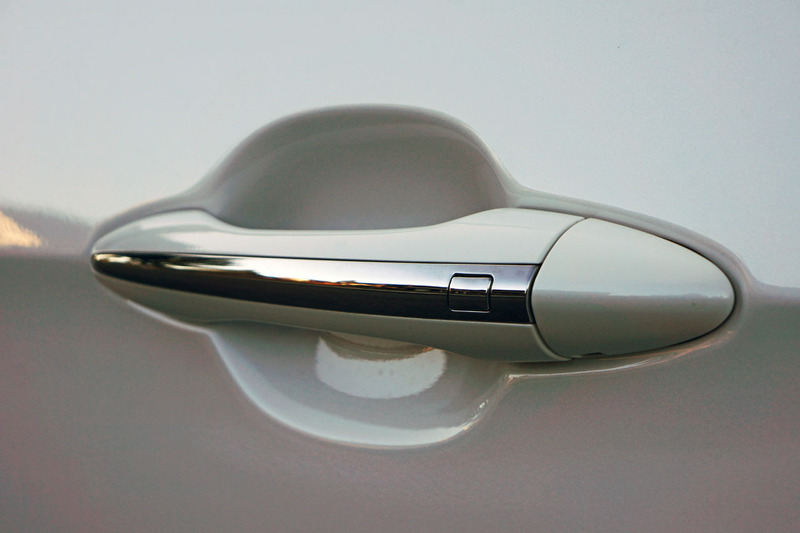 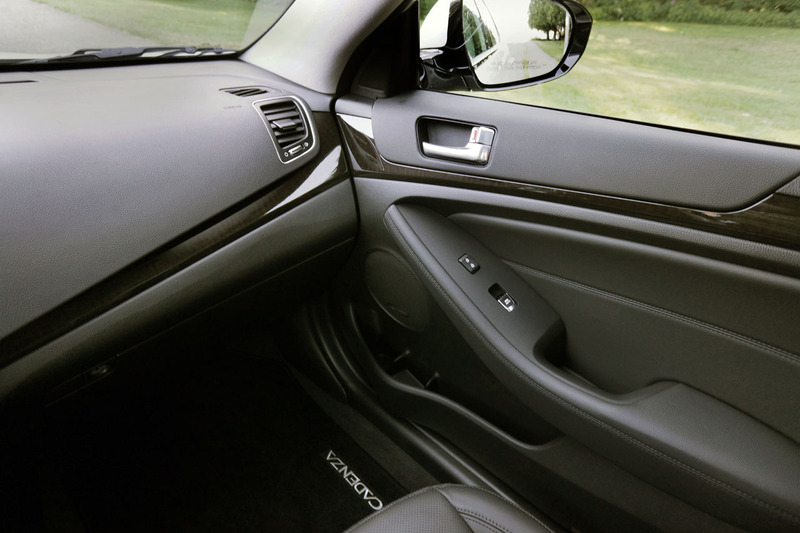 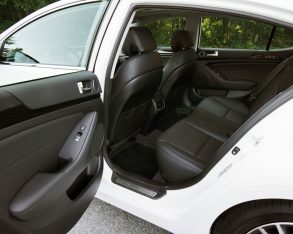 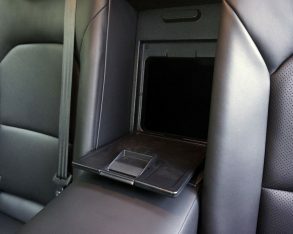 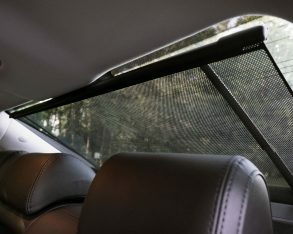 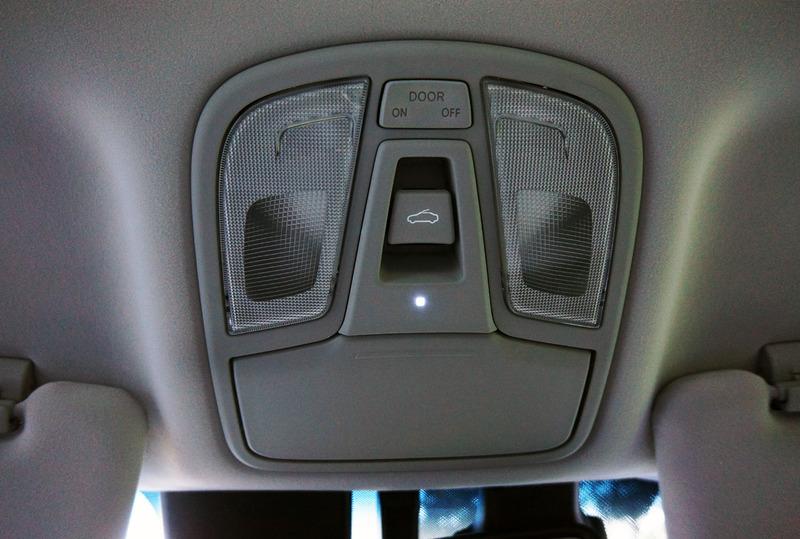 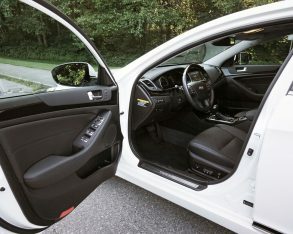 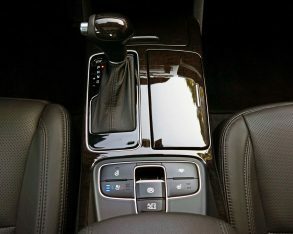 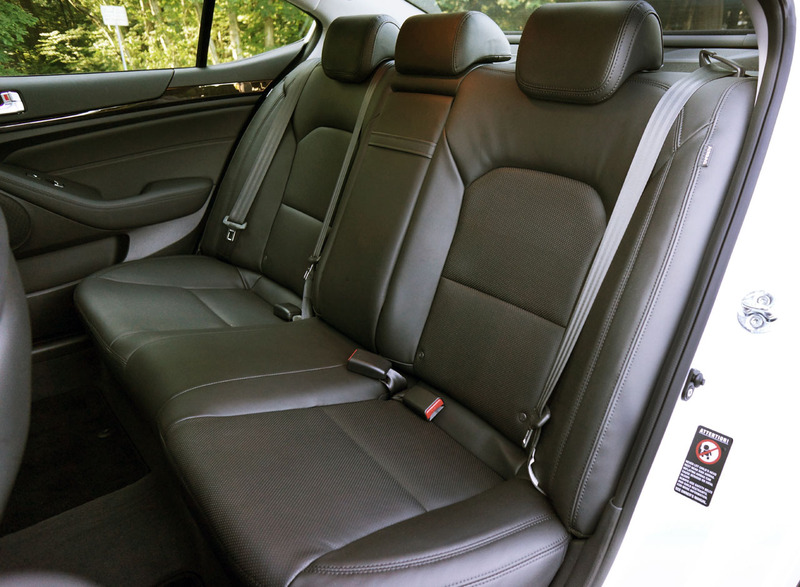 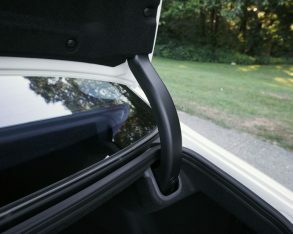 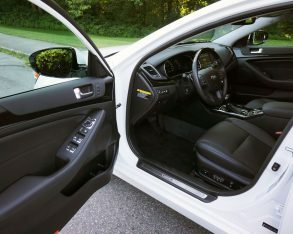 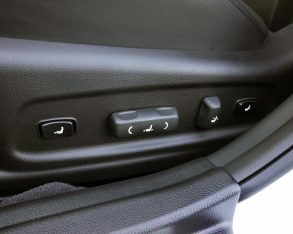 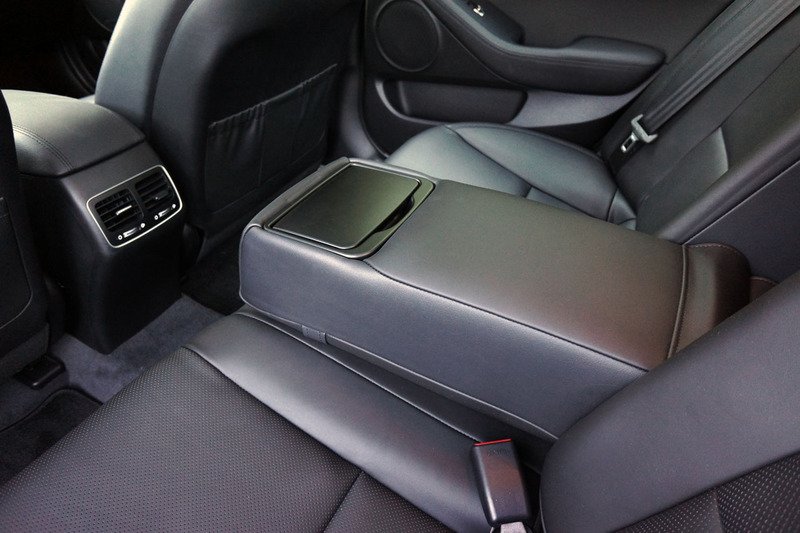 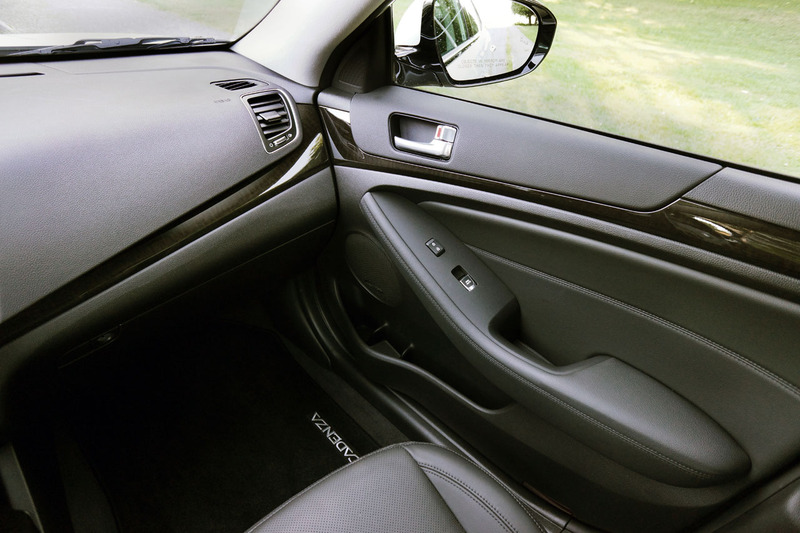 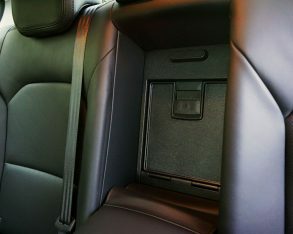 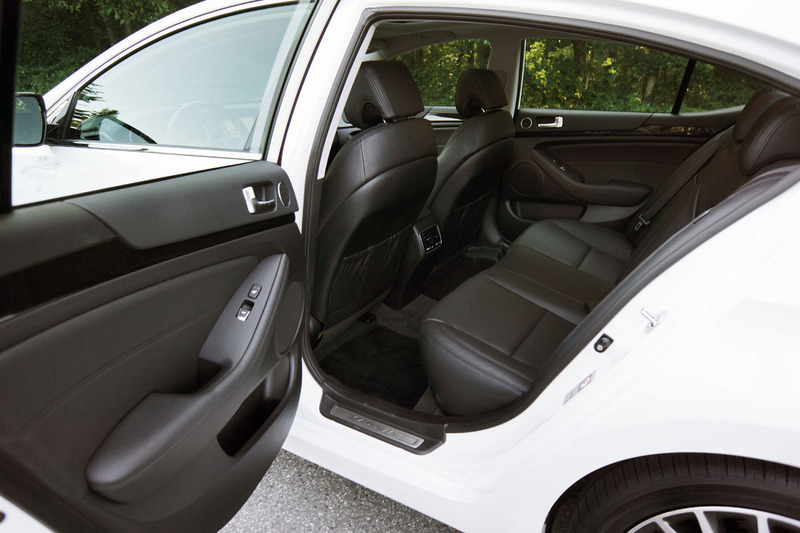 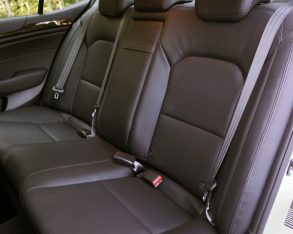 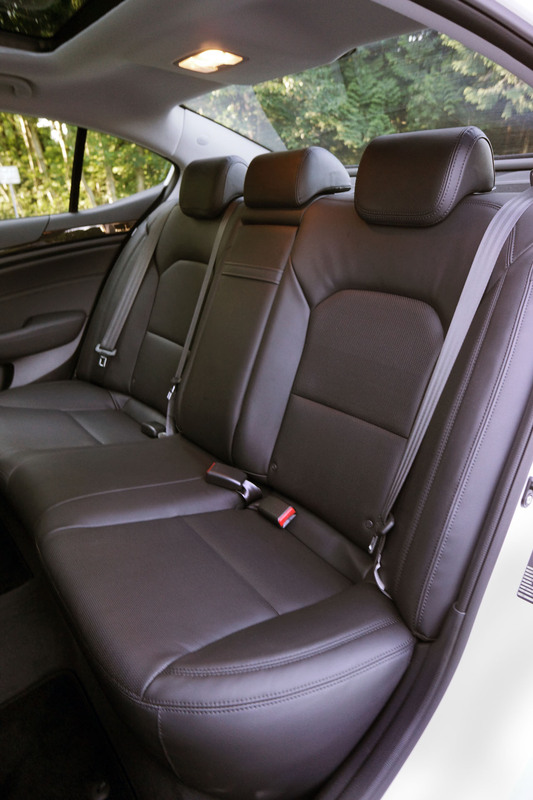 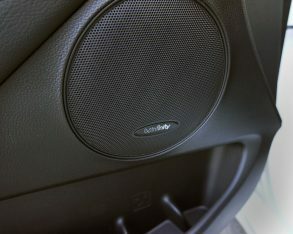 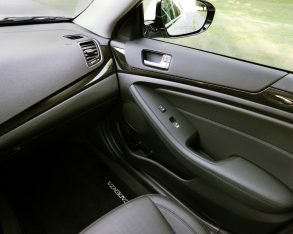 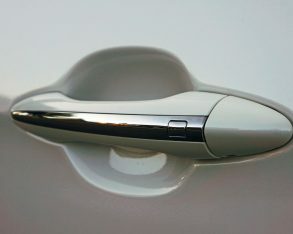 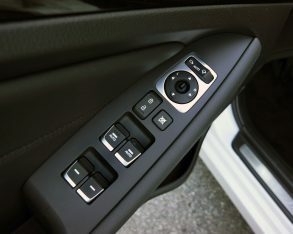 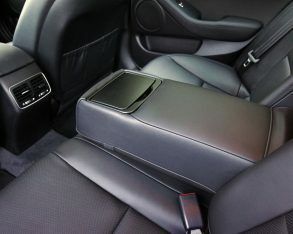 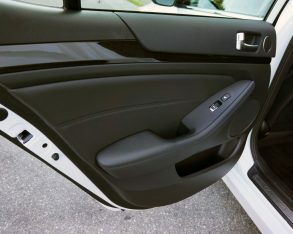 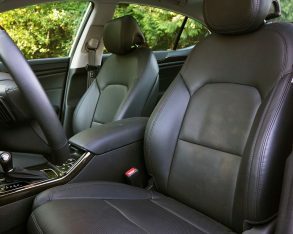 A powered knee extension for the driver’s seat is also included, along with two-way heated rear window seats and premium Nappa leather covering all seating surfaces for soft supple comfort, while a powered rear window shade makes the car’s only negative anomaly, the lack of side window shades, all the more apparent. 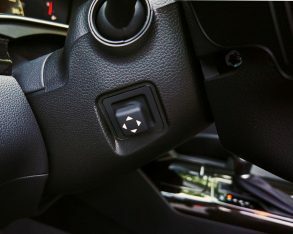 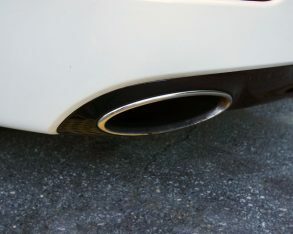 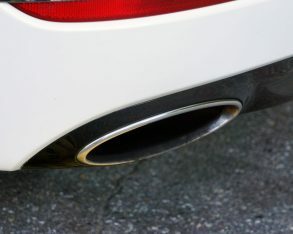 type of function that can make the difference between arriving at your destination filled with energy or tired out from concentrating too much on things you shouldn’t have to, such as speed limits and having to personally hit the brakes to slow down for cars ahead; instead the system takes care of such manual labour on your behalf. 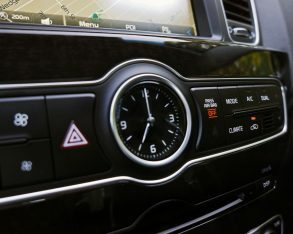 for a better price, but rather show would-be buyers and rivals alike that its innovations clearly set it apart from the competition. 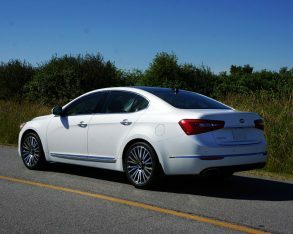 more imposing K900 and edgier Optima, appearing somewhat like a full-size Forte sedan from front to rear. 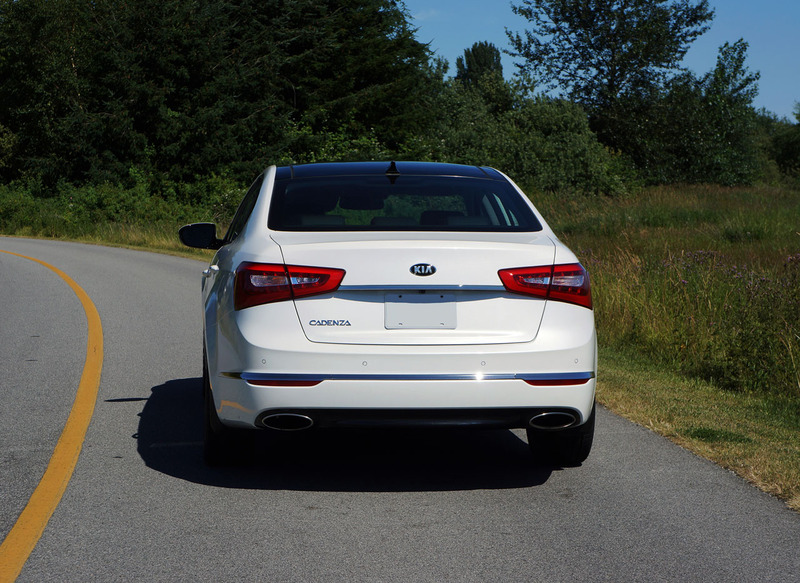 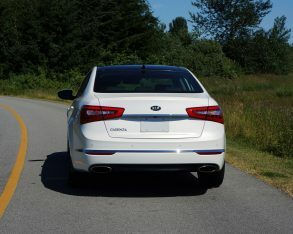 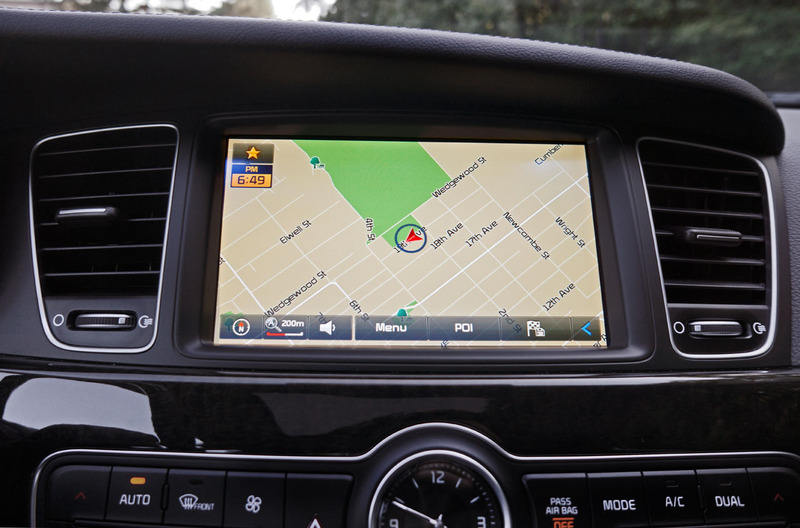 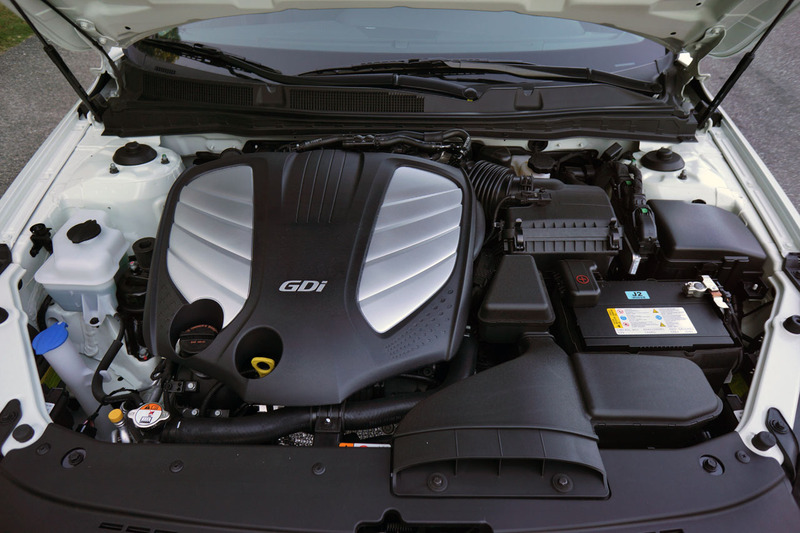 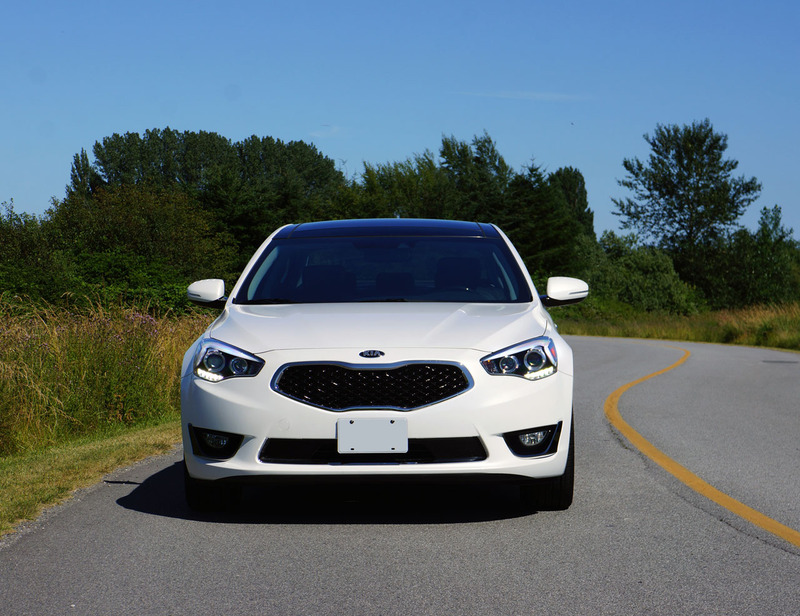 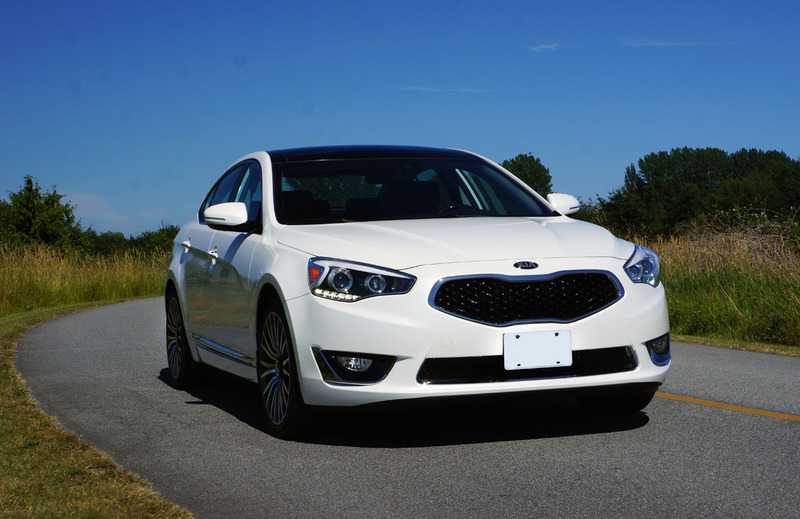 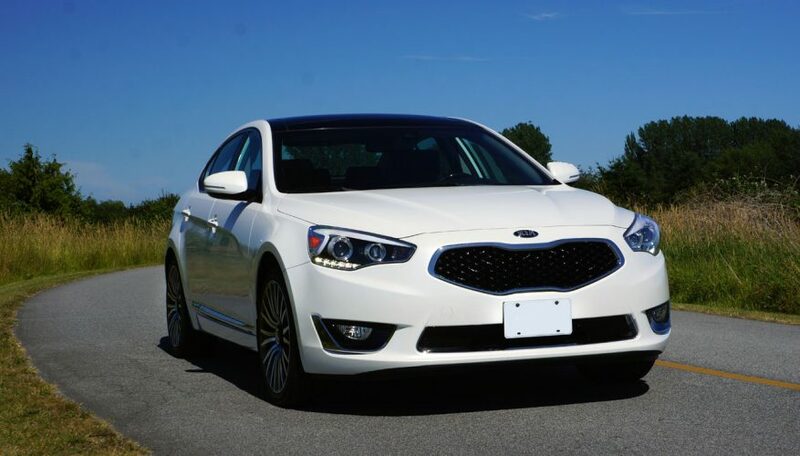 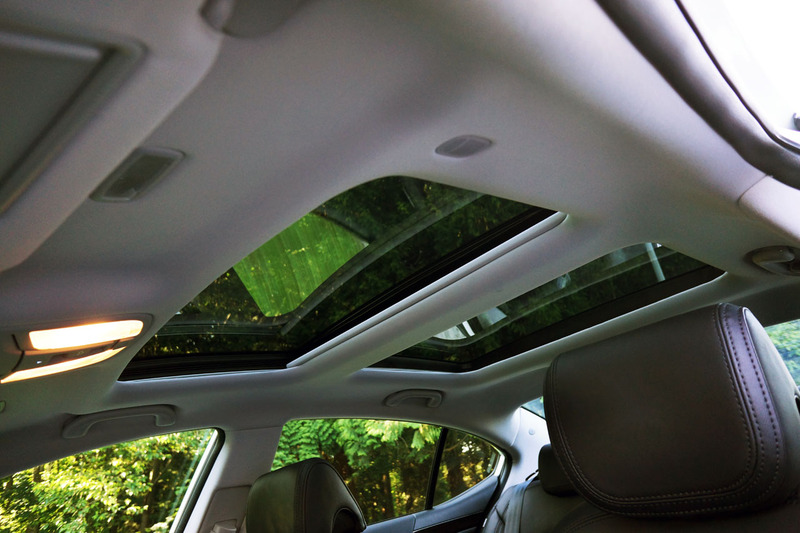 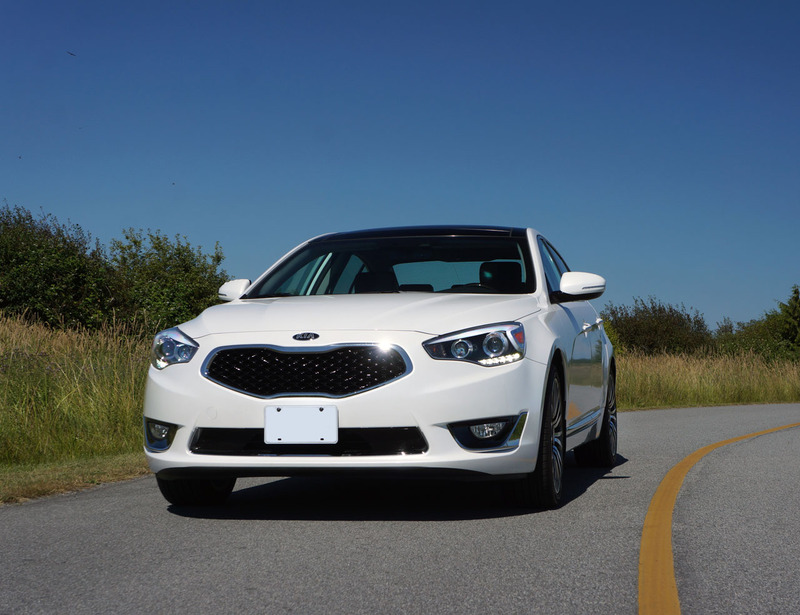 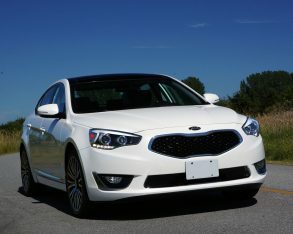 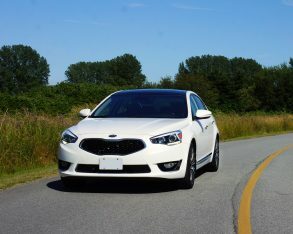 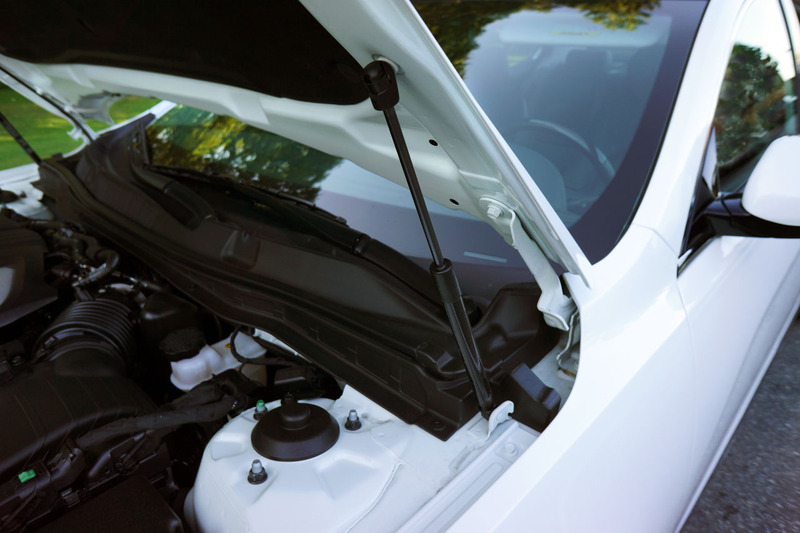 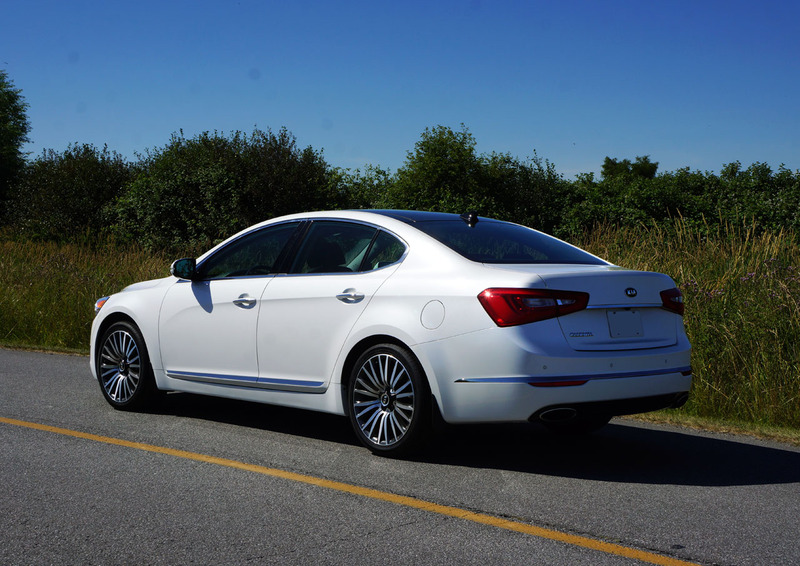 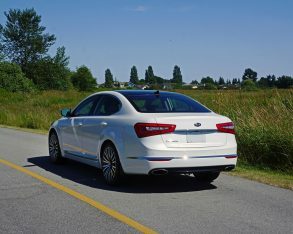 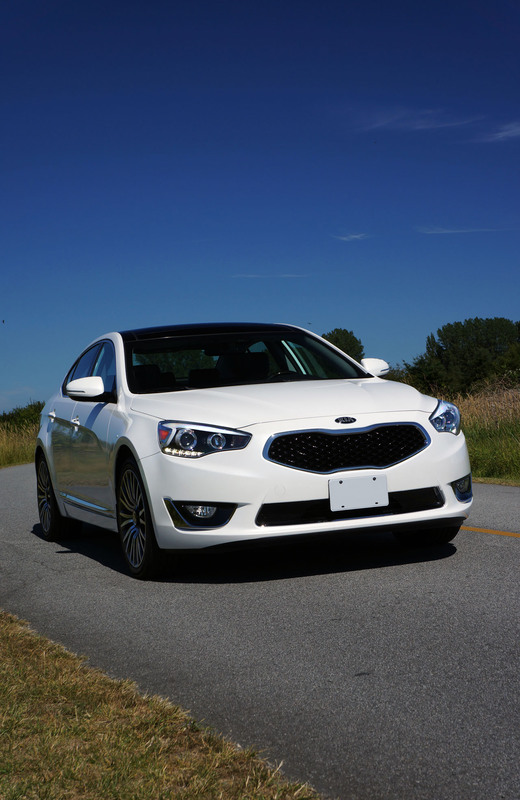 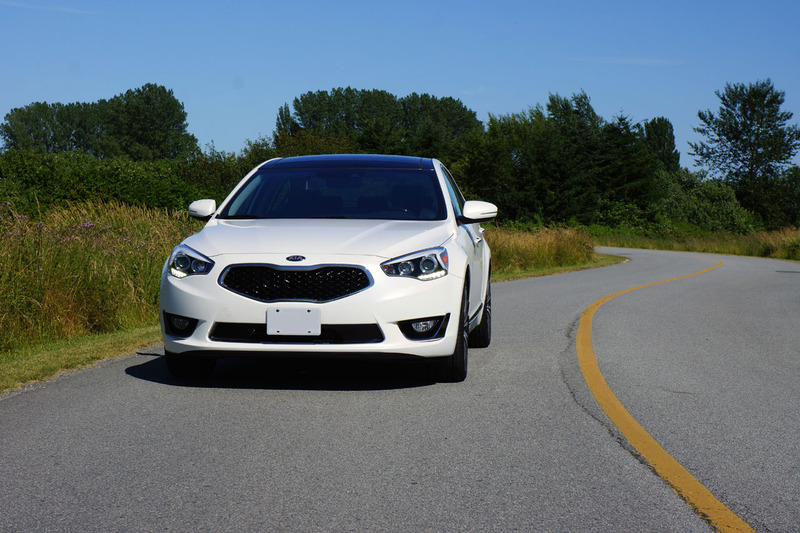 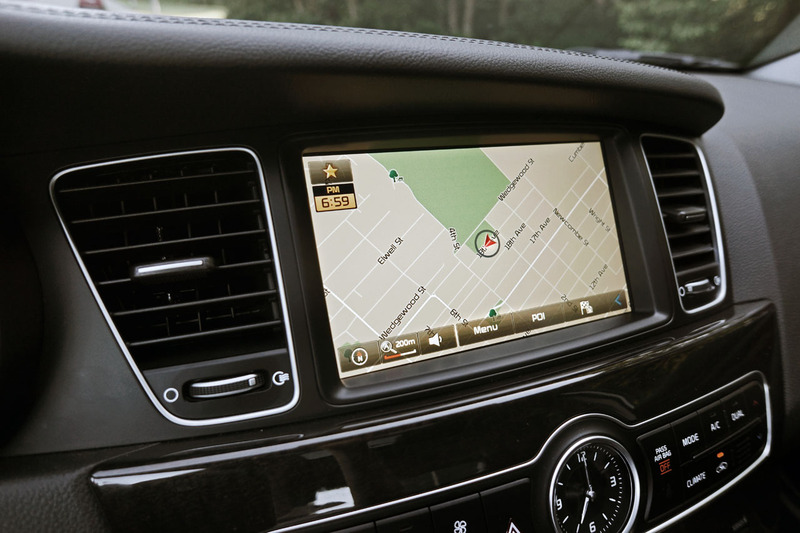 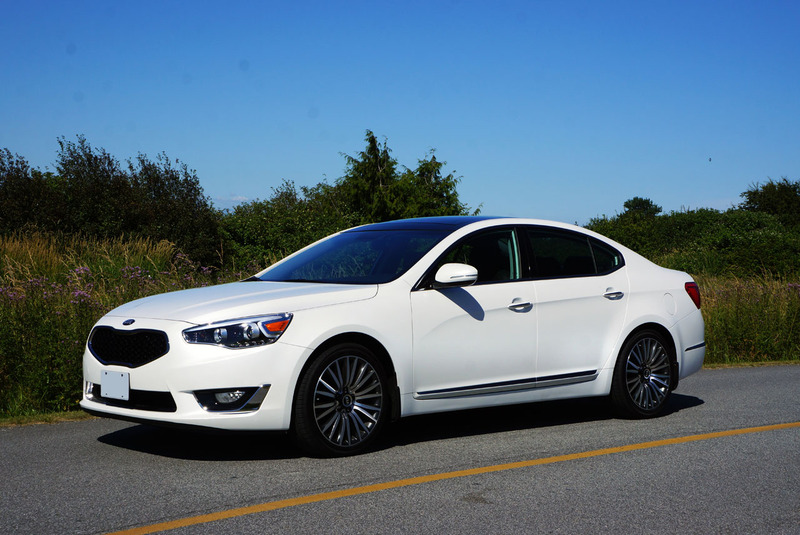 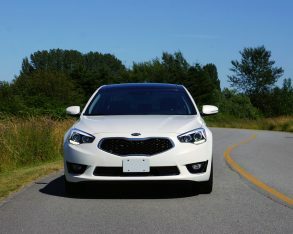 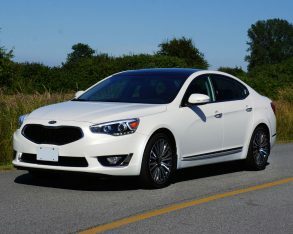 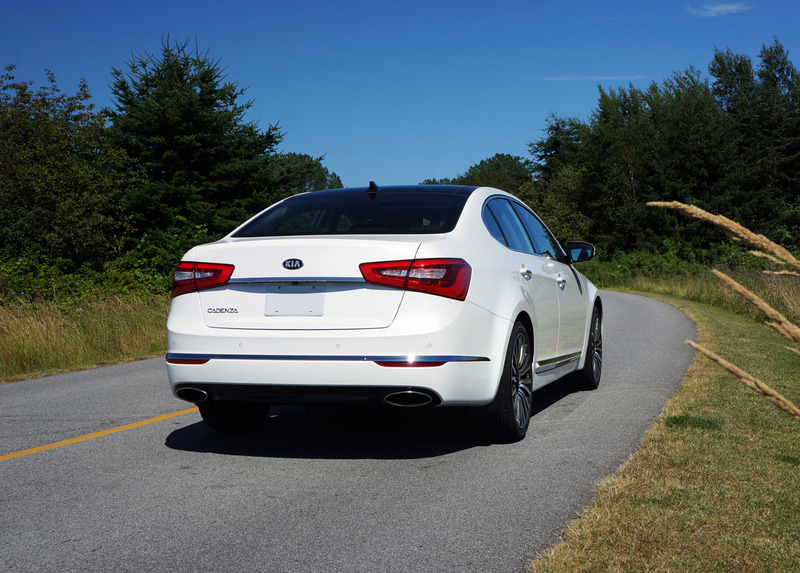 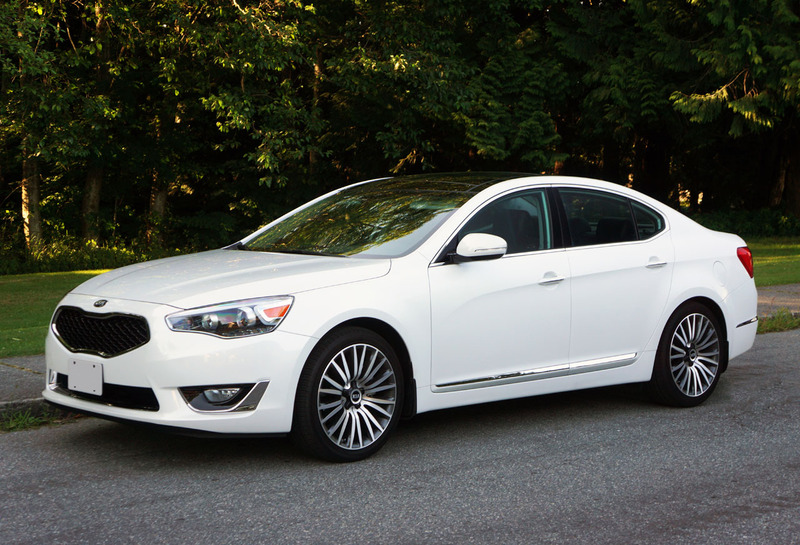 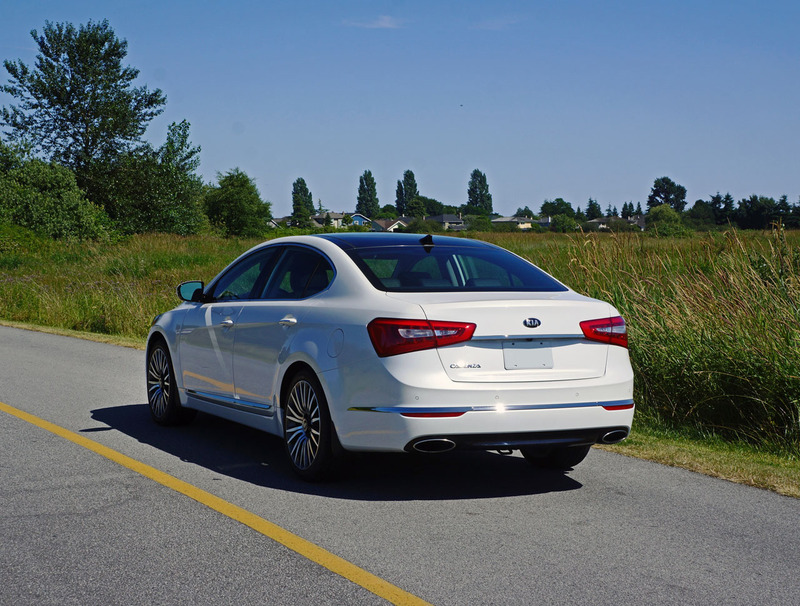 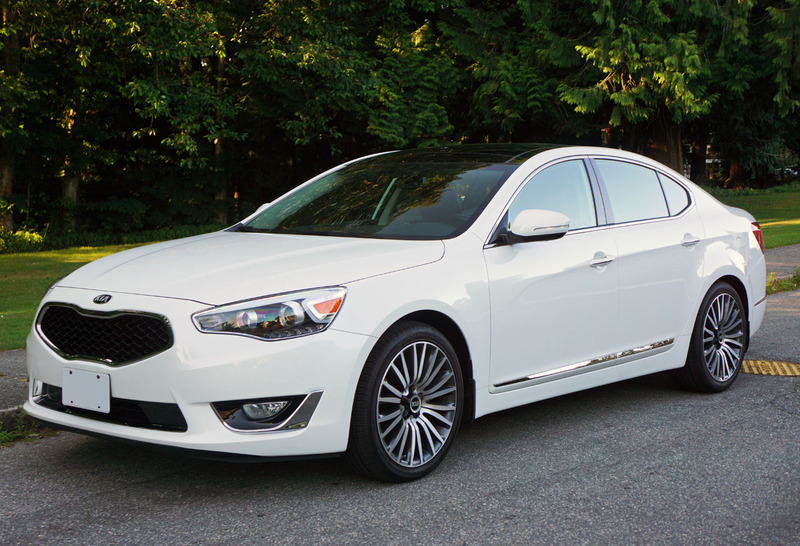 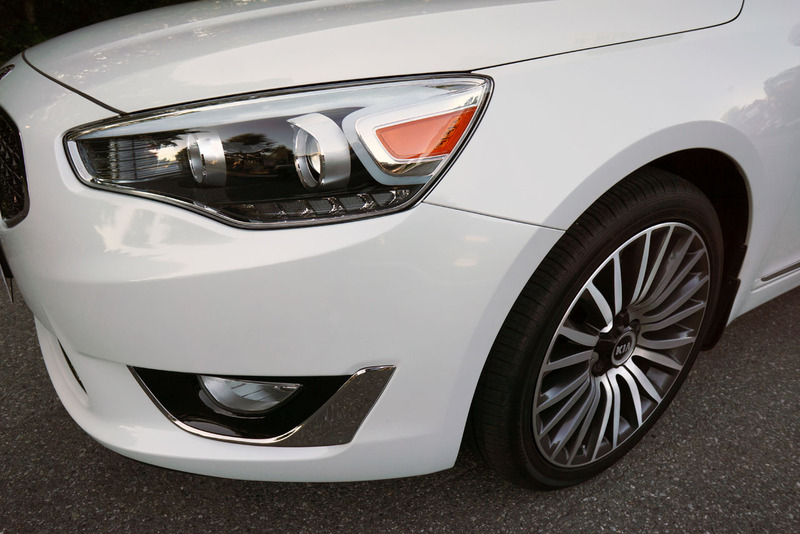 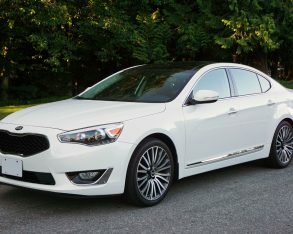 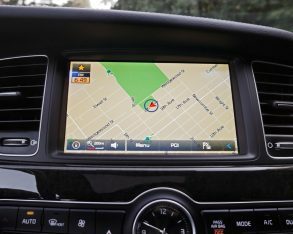 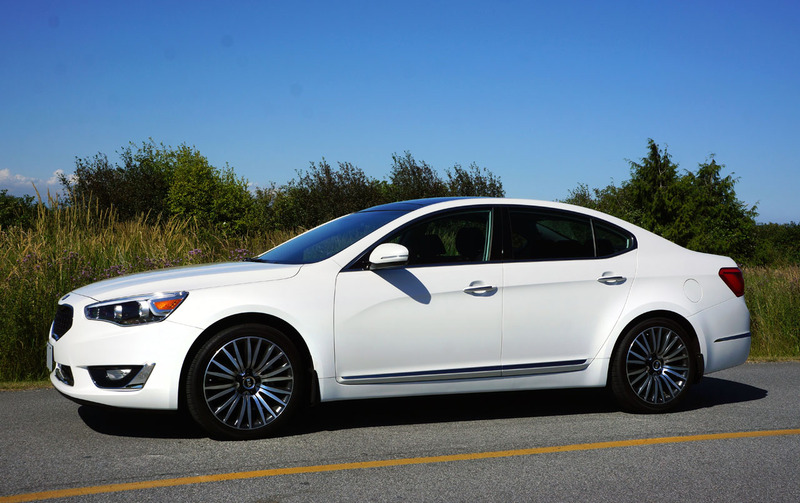 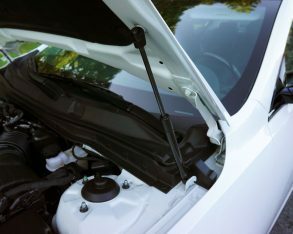 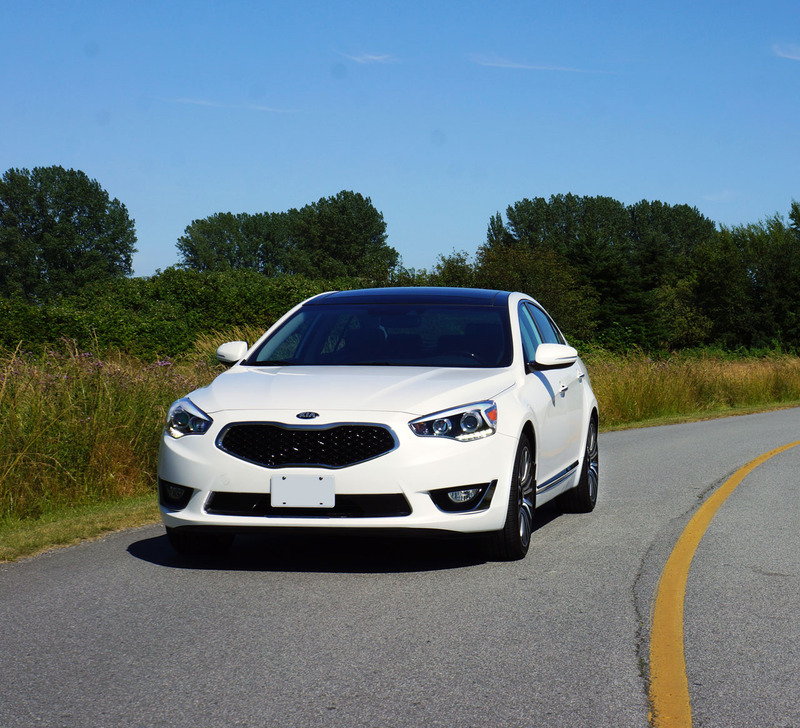 when factoring in new more realistic 2015 model year five-cycle Transport Canada testing the Cadenza shines, the revised rating now claimed to be 12.7 in the city and 8.4 on the highway, it’s hard to knock this big sedan’s performance at the pump or off the line. 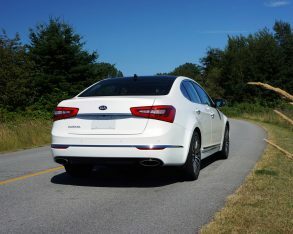 One of the reasons its fuel economy numbers are so good comes down to overall mass, the Cadenza weighing in at a rather svelte 1,664 kilograms (3,668 lbs), which places its curb weight between the slightly smaller Lexus and Lincoln models I mentioned before, and makes it considerably lighter than most similarly sized vehicles in the luxury class. 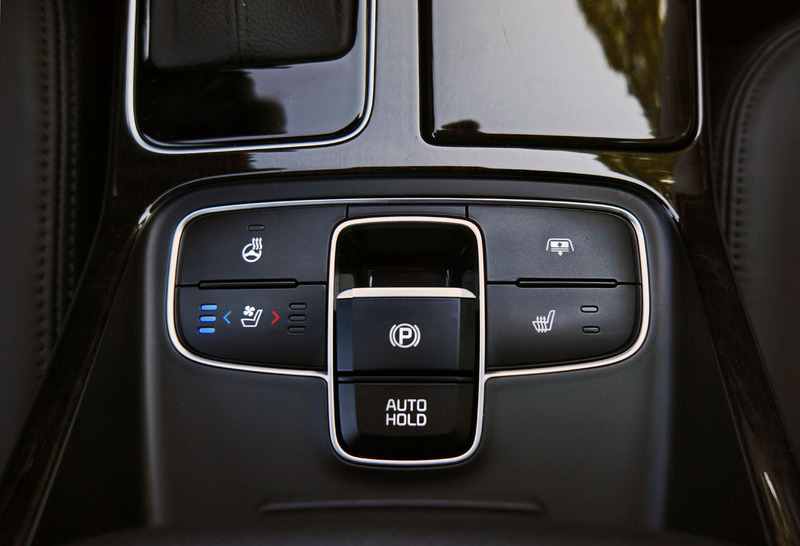 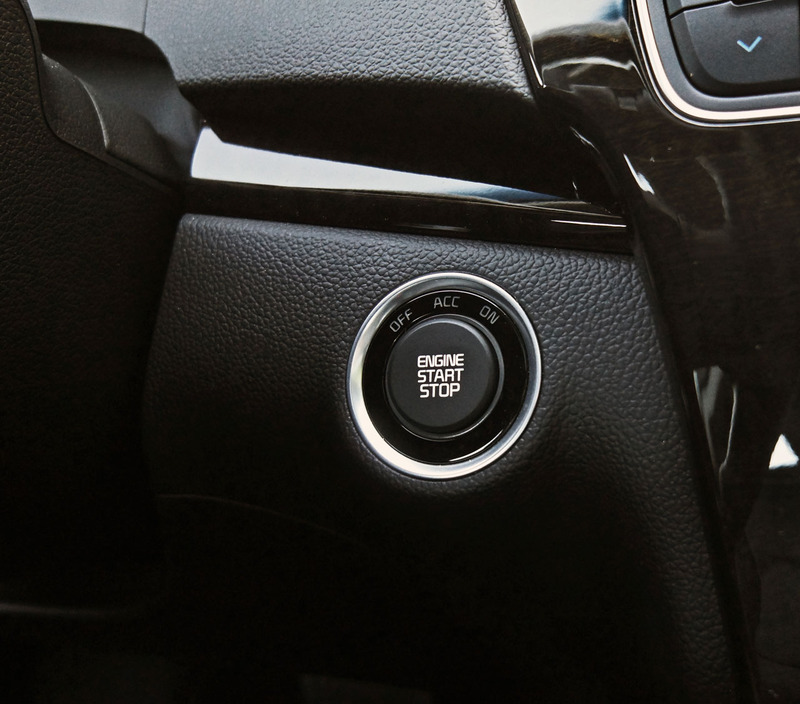 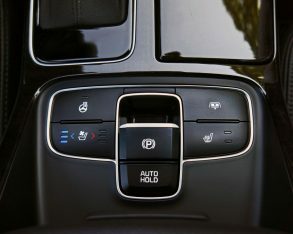 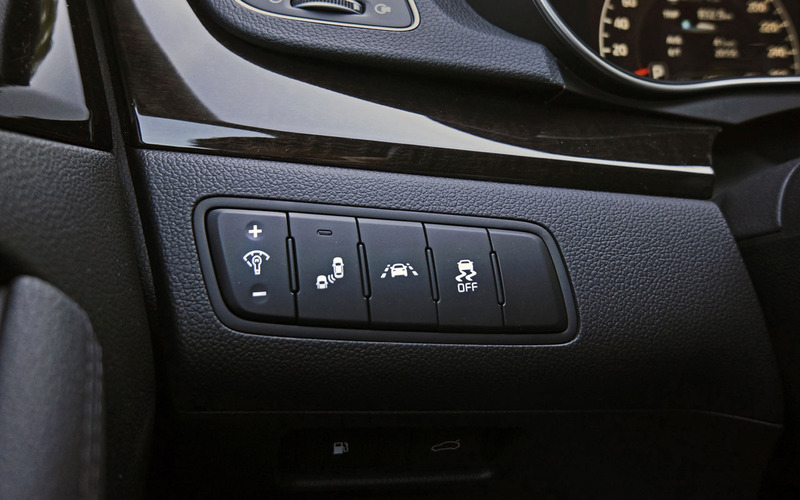 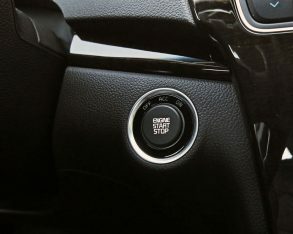 control with Vehicle Stability Management (VSM) joins traction control, Hill Assist Control (HAC), and ABS-enhanced four-wheel discs for as much active safety kit as you’ll likely ever need; albeit premium brands like BMW and Mercedes-Benz would no doubt beg to differ. 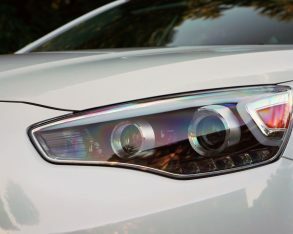 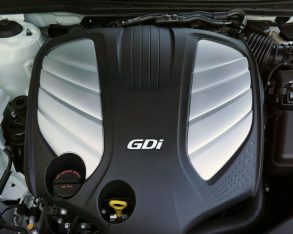 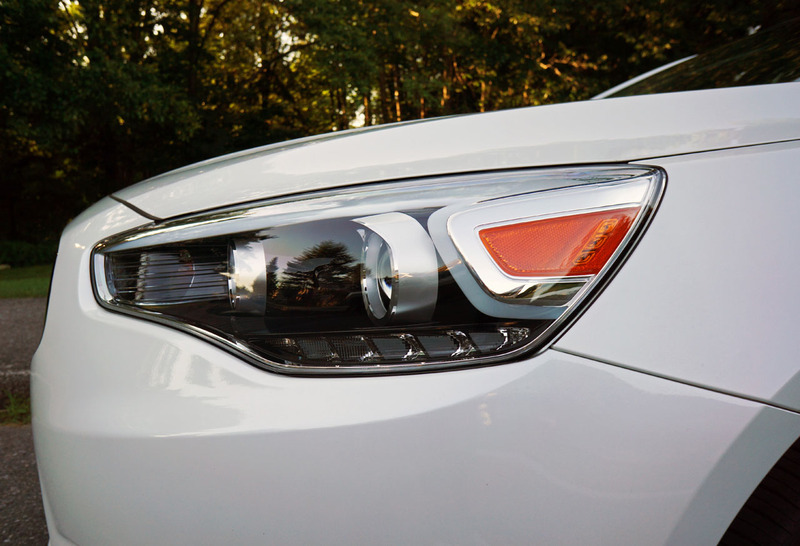 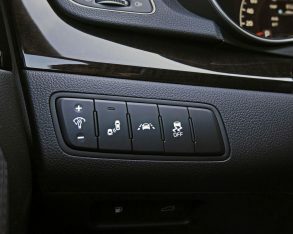 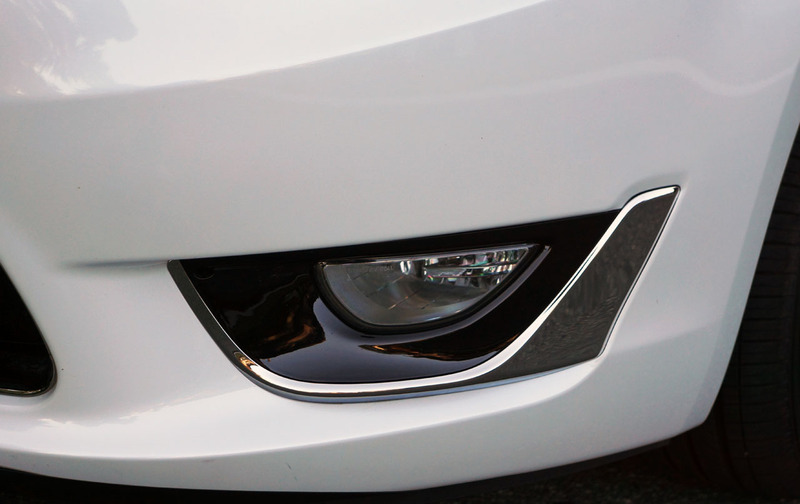 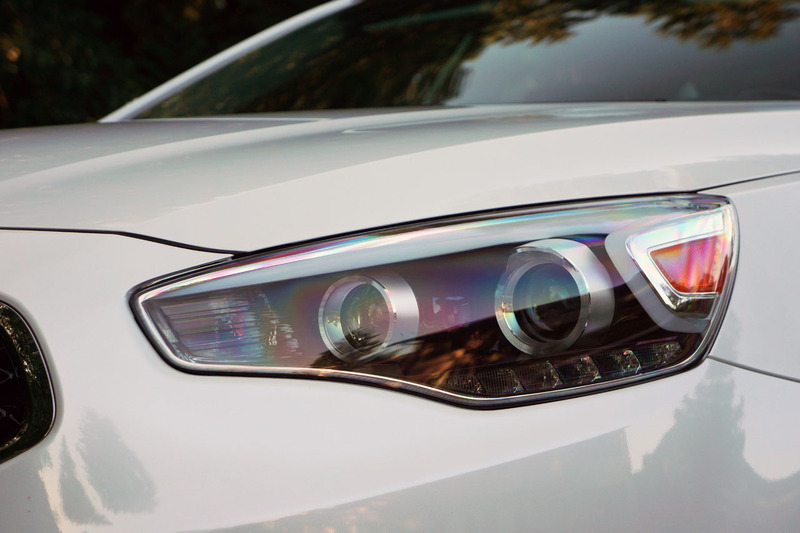 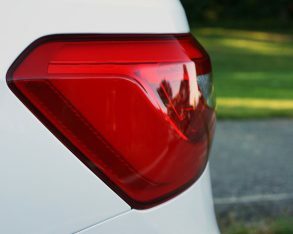 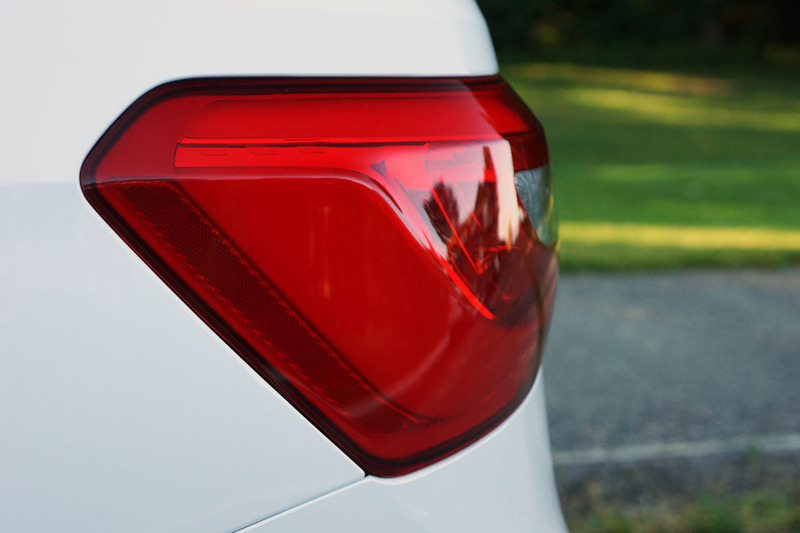 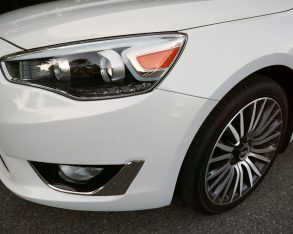 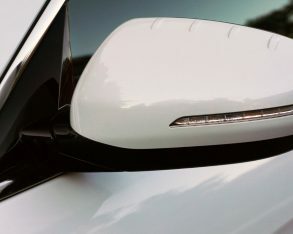 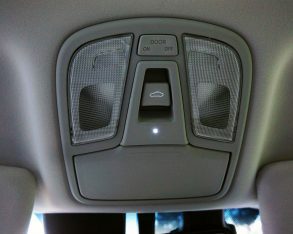 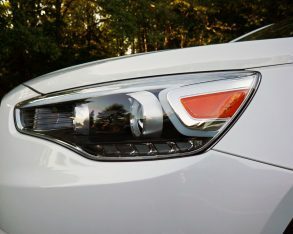 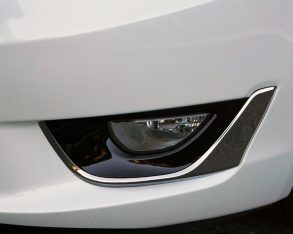 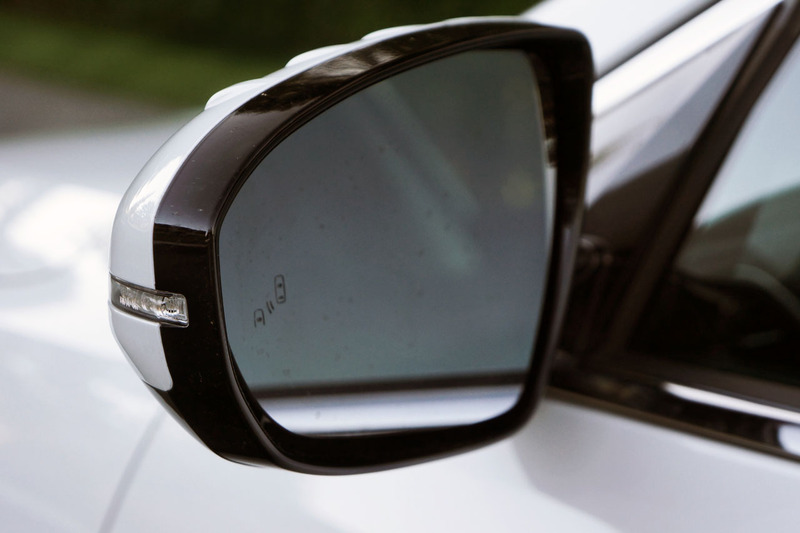 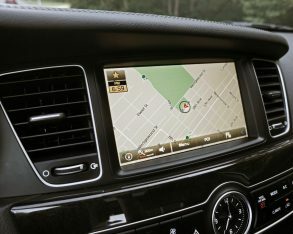 LEDs for the daytime running lights, positioning lights and light bar taillights, and much, much more, whereas the differentiators between the Cadenza and its similarly priced German competitors (other than size) include standard proximity sensing access and pushbutton ignition, standard leather upholstery, an eight-way powered driver’s seat and four-way powered front passenger’s seat, infotainment with standard navigation, 12-speaker Infinity audio, a rearview monitor, and standard rear parking sonar. 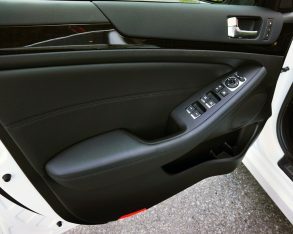 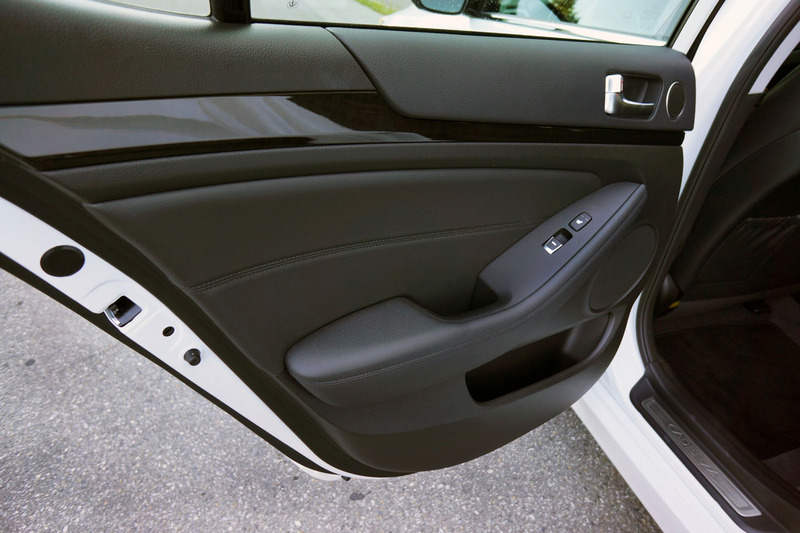 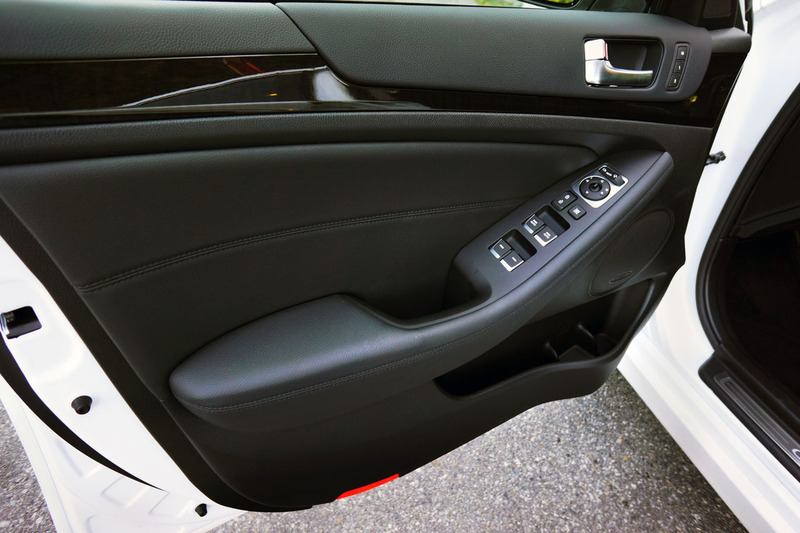 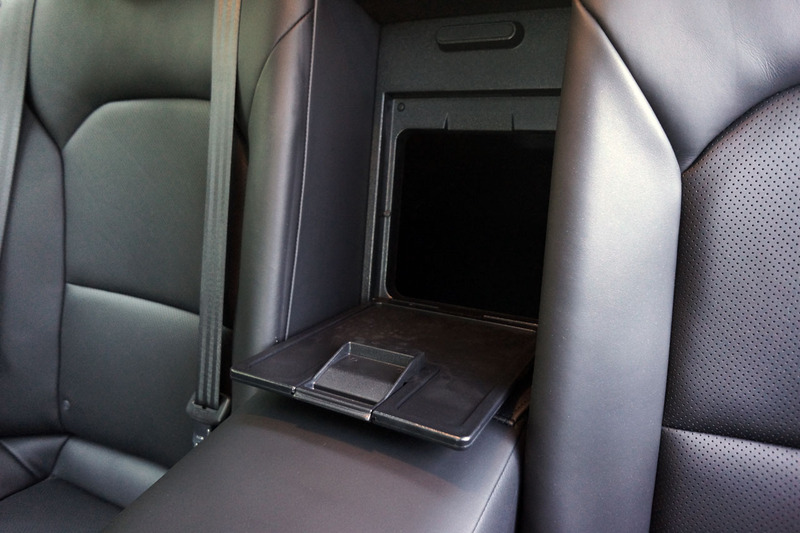 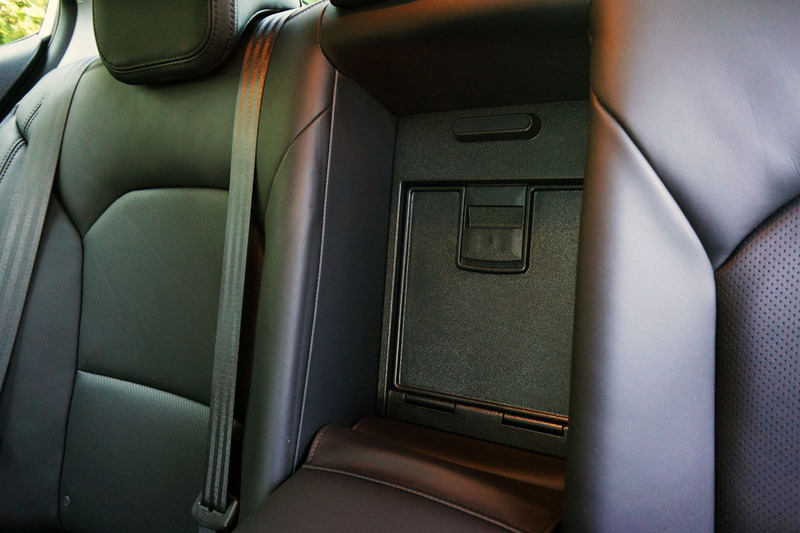 dash panels and glove box lid plus all the lower dash and door panels are made from harder plastic, albeit nicely textured in a way that they’re not immediately noticeable as sub-premium standard. 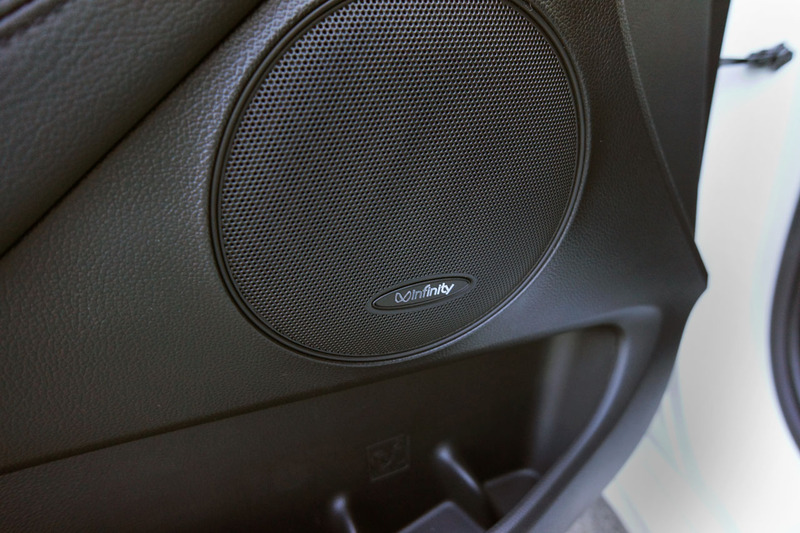 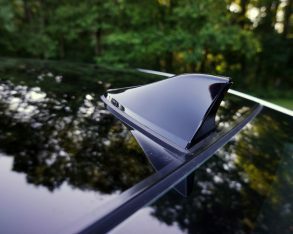 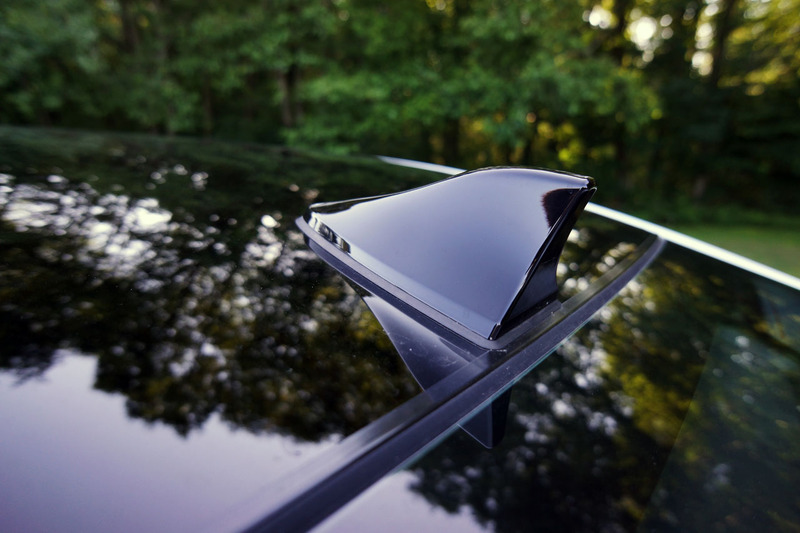 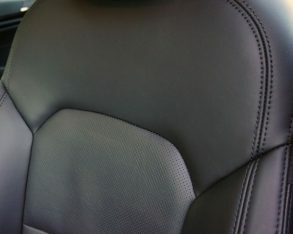 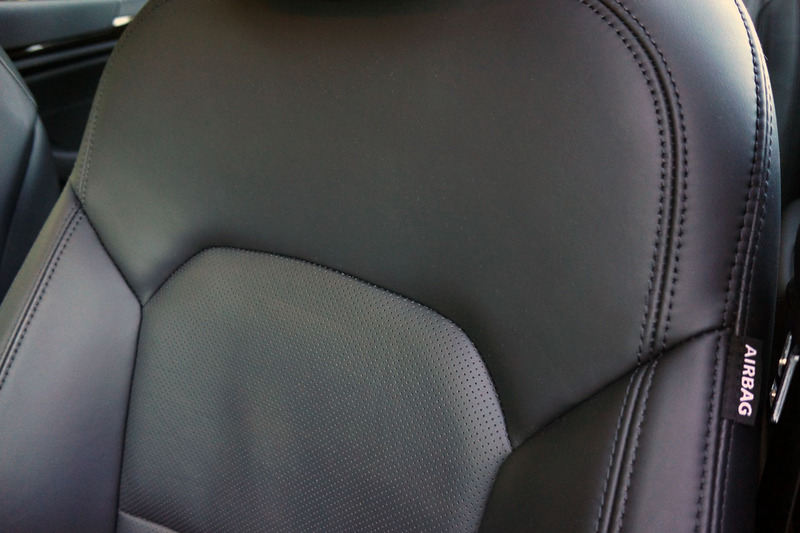 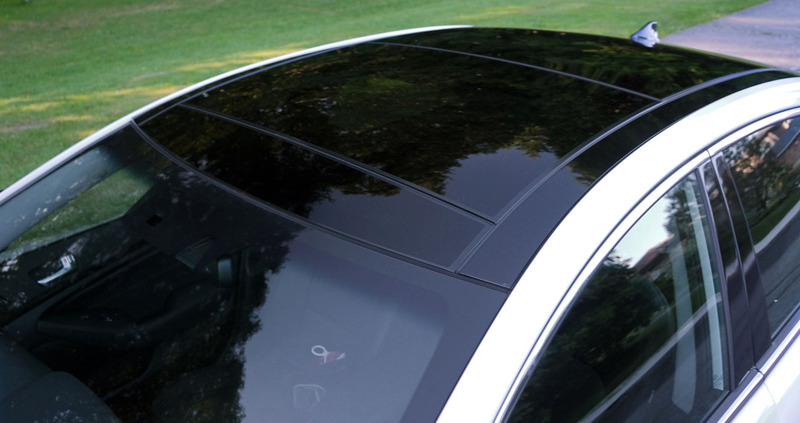 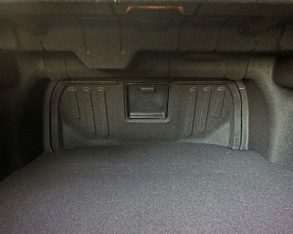 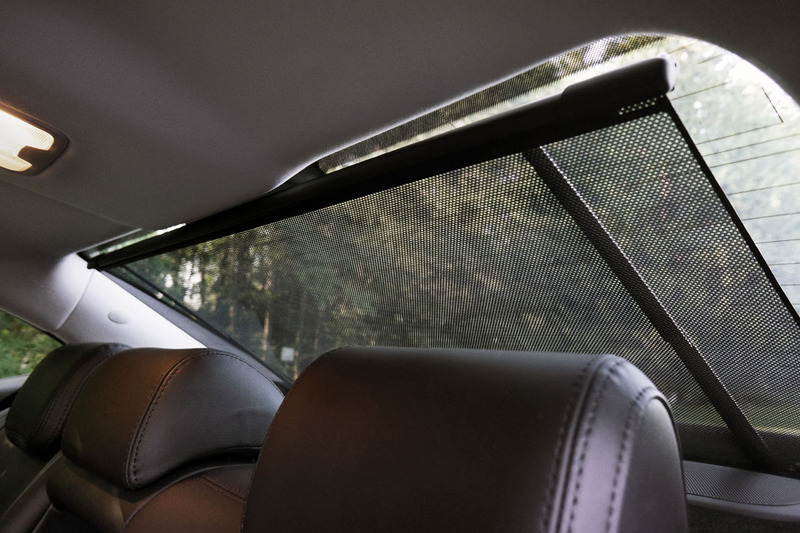 Kia makes up for this with roofliner material that wraps down each padded pillar, but then again its high quality “mouse fur” rather than the attractive weave we’ve come to appreciate from premium brands. 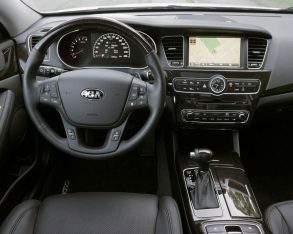 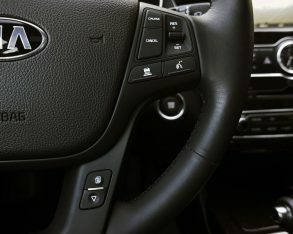 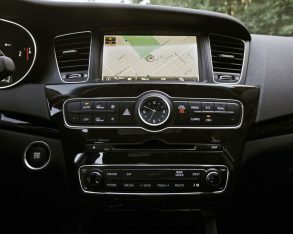 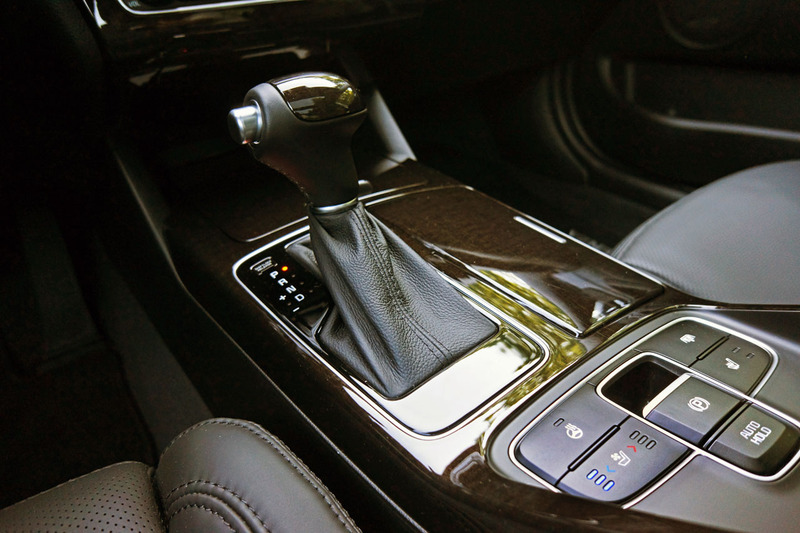 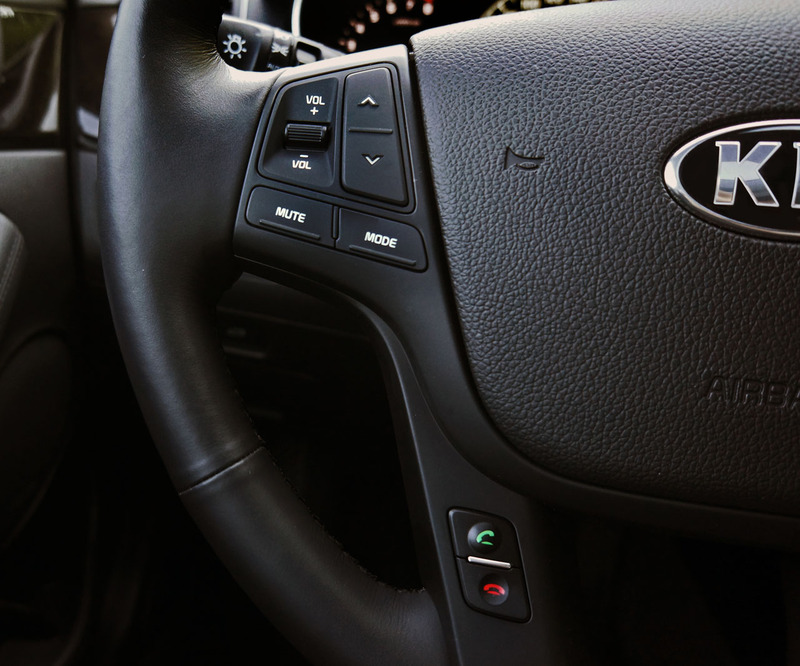 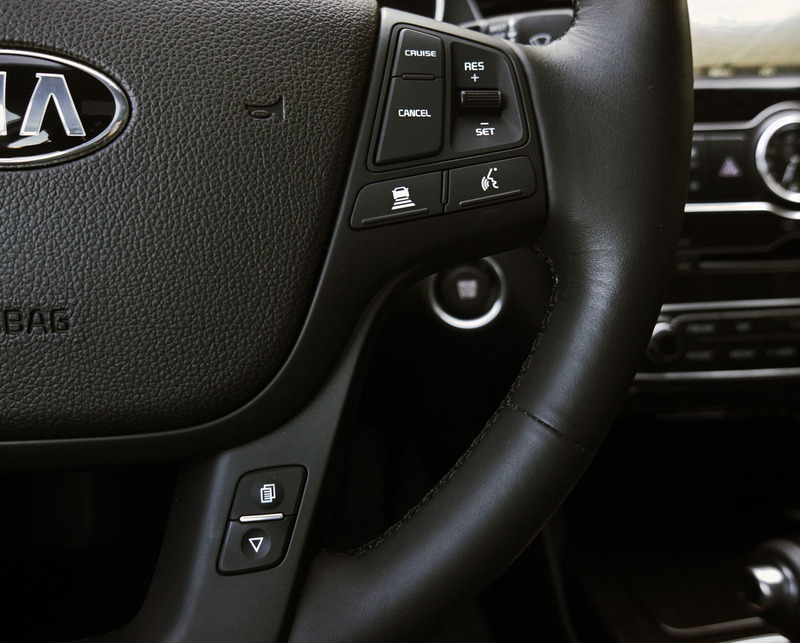 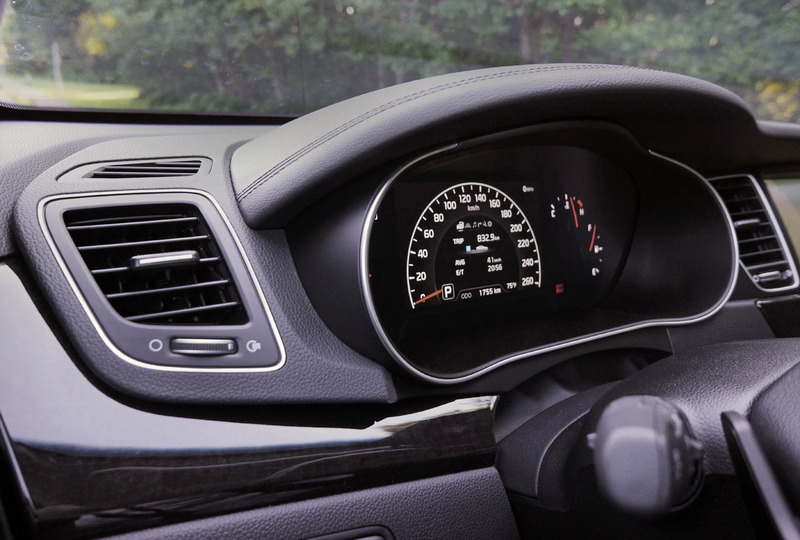 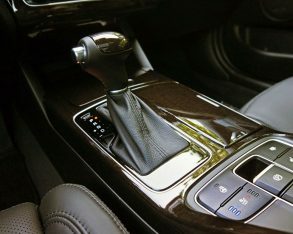 Then again, as I wrote in my notes, “If the wood isn’t real I’ll be shocked, because it looks and feels as good as anything in the industry,” making me glad to report that I’m not losing my senses, the wood is genuine both on the steering wheel and across the dash and doors. 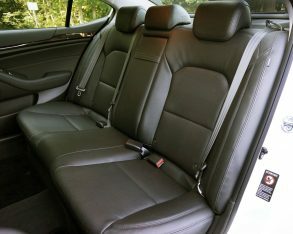 my only complaint was that the rear seatbacks don’t fold, something I require due to an active addiction to skiing. 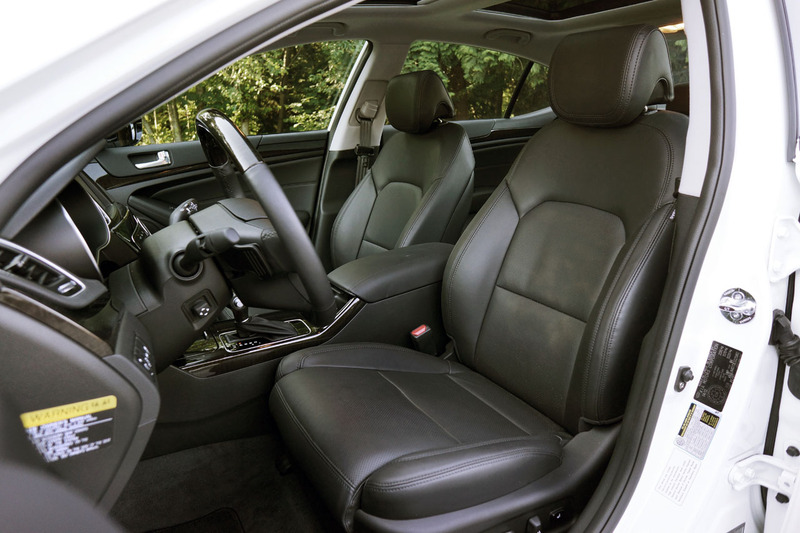 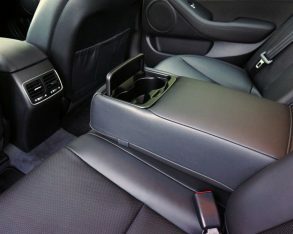 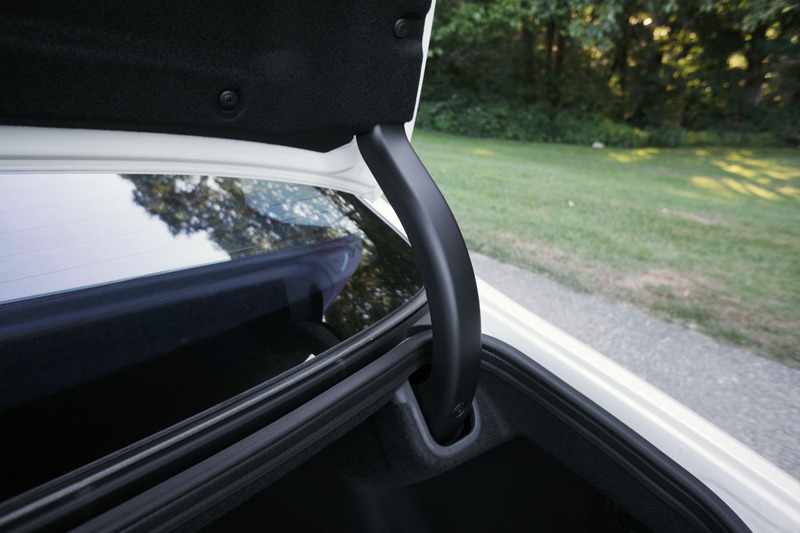 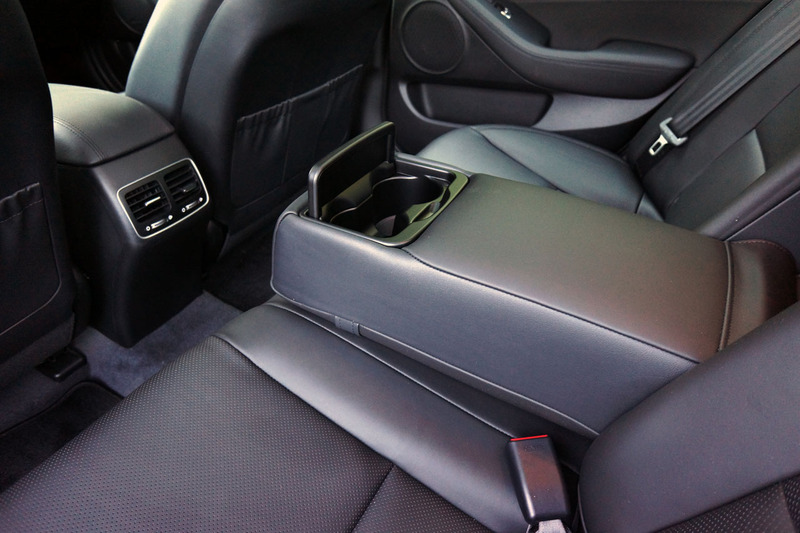 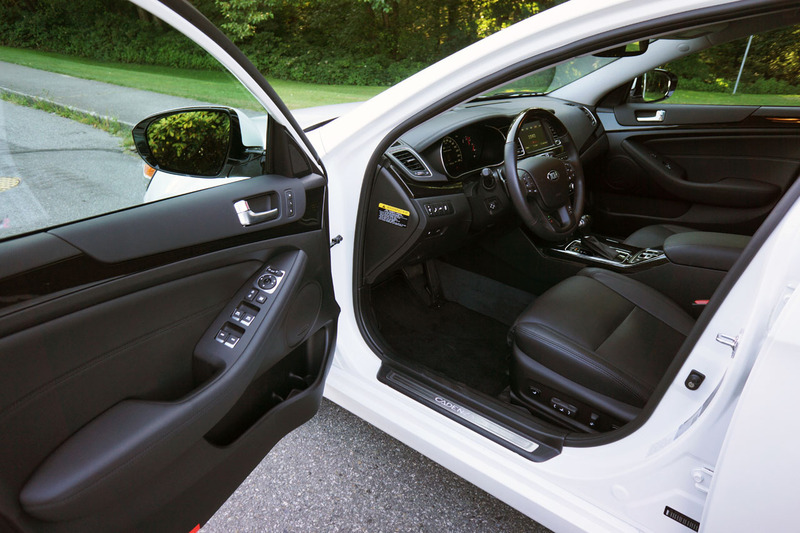 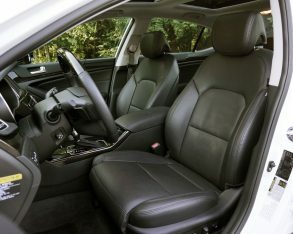 Kia does provide a pass-through above the rear armrest when folded down, sizable enough for two or possibly even three pairs of skis in a pinch. 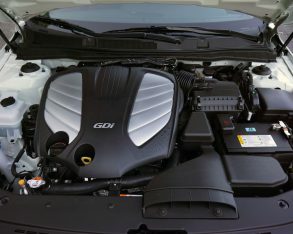 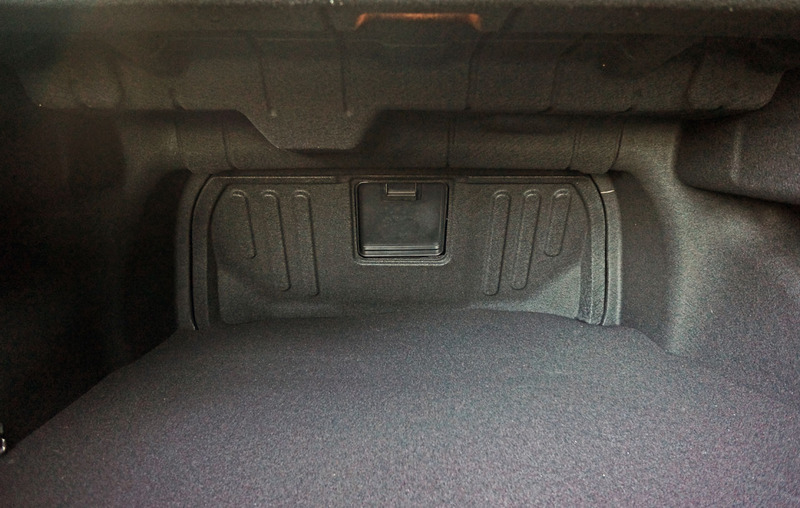 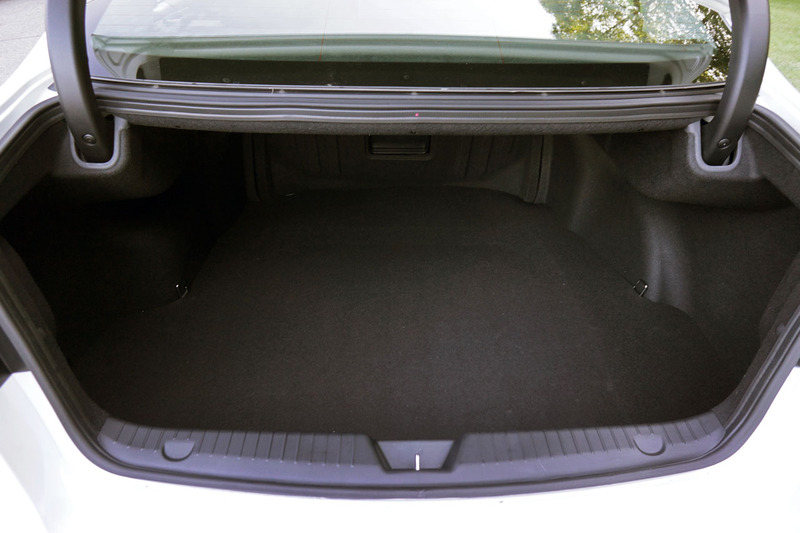 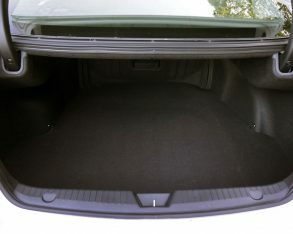 The trunk is otherwise large, measuring some 450 litres (15.9 cubic feet) in volume, which incidentally makes it 14 litres (0.5 cu ft) larger than the Lincoln MKZ’s boot and 20 litres (0.7 cu ft) more accommodating than ES 350’s luggage compartment, although the Lincoln’s cargo hold at least offers split-folding rear seatbacks. 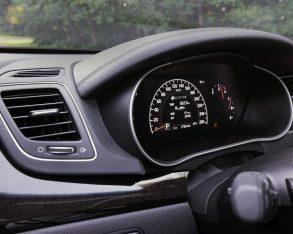 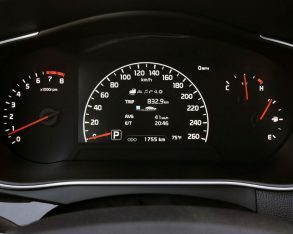 liked how the throttle comes back on progressively when traffic clears in order to get the car back up to speed, instead of being hell-bent on getting the car back up to its preset velocity no matter the cost to fuel economy or luxurious serenity, a problem with some premium branded luxury cars. 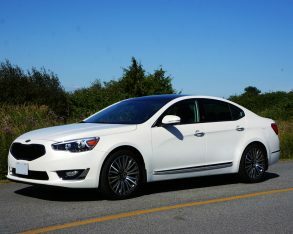 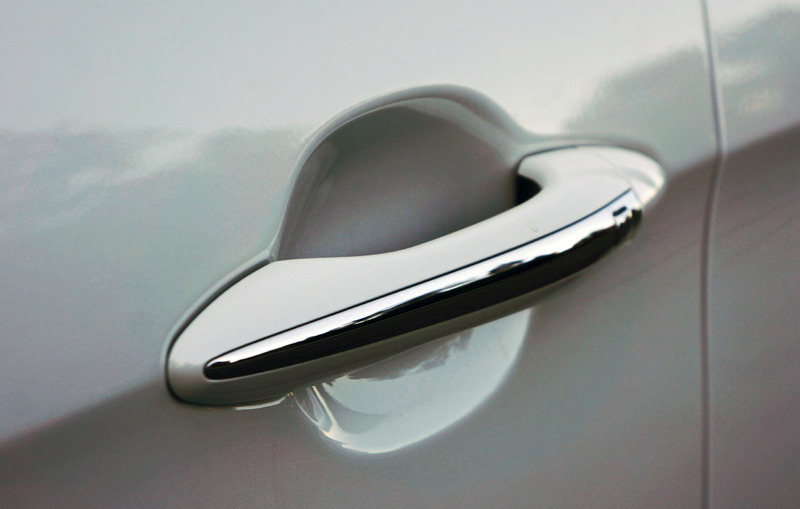 featured premium wannabe rivals in the mainstream sector. 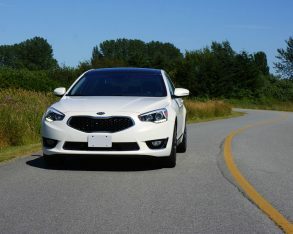 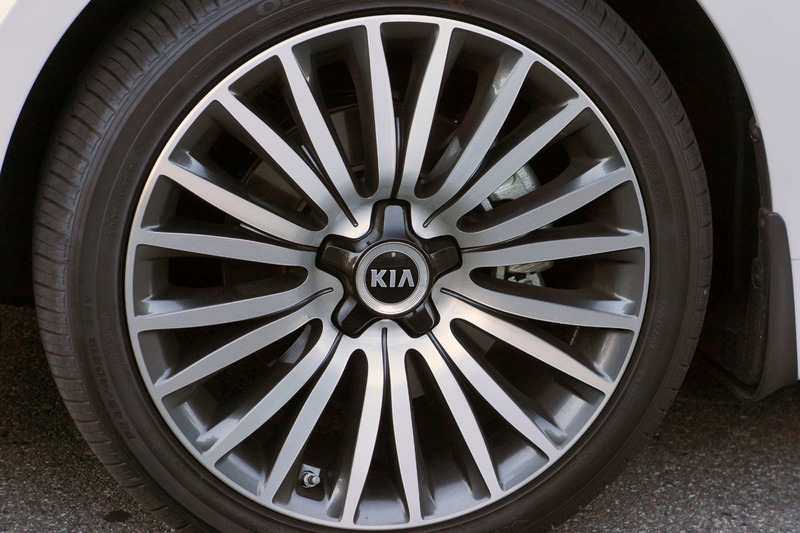 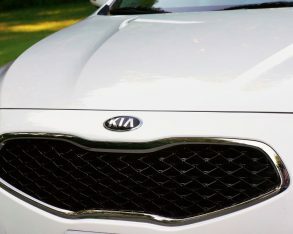 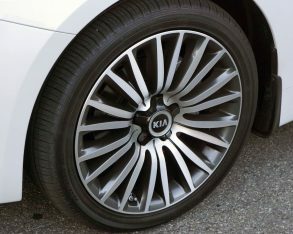 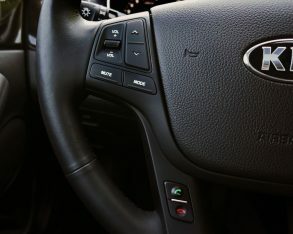 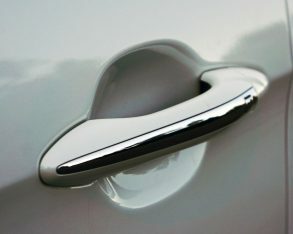 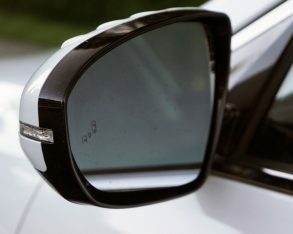 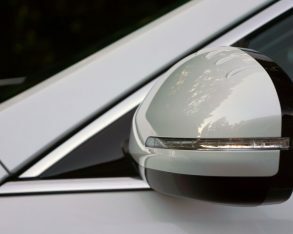 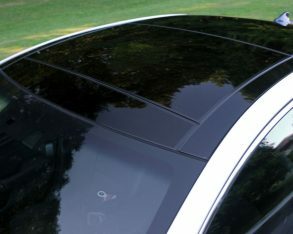 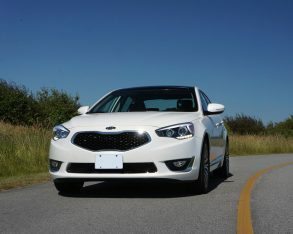 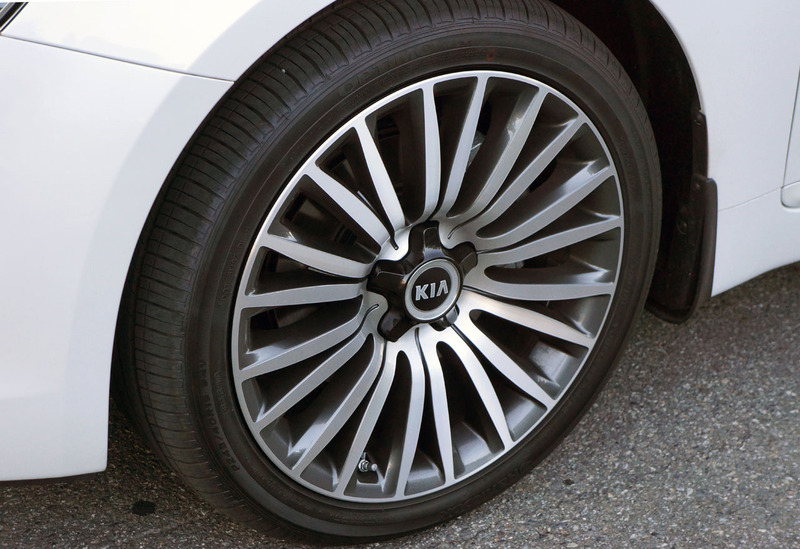 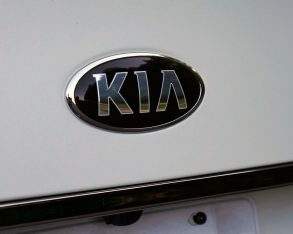 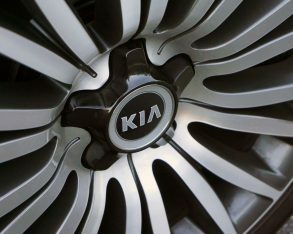 That it’s not trying to copy the styling of one of the premium brands it emulates in most every other way is another feather in Kia’s red and white oval-badged cap, allowing you to roll up in a unique and creatively styled luxury ride that will have people asking, “What is that?” in a clearly positive open-minded manner, followed by a look of shock and awe that must make Kia ownership an all-round delight. 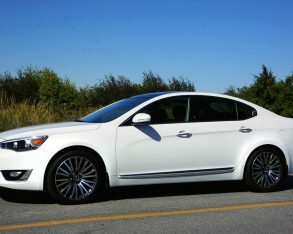 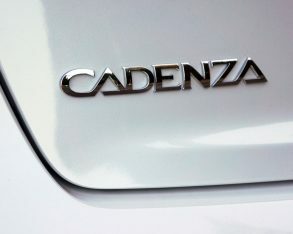 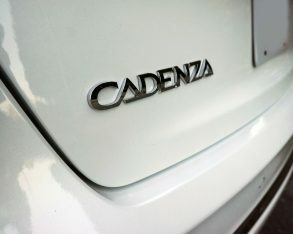 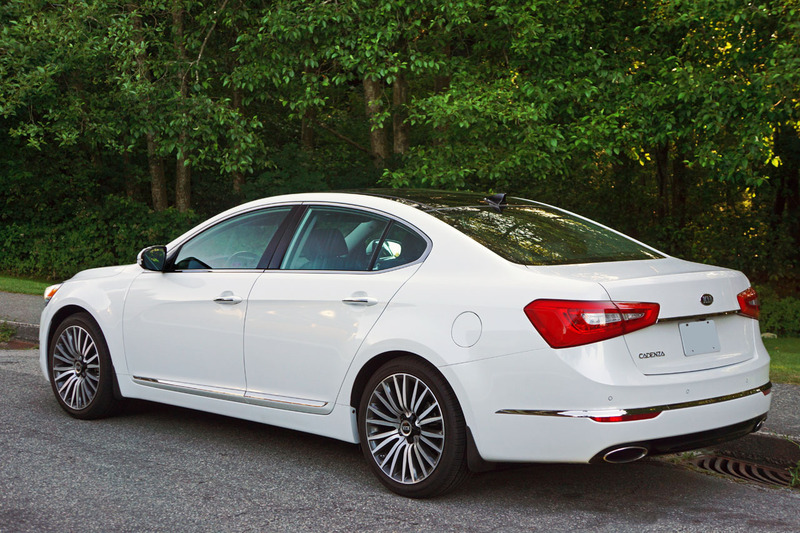 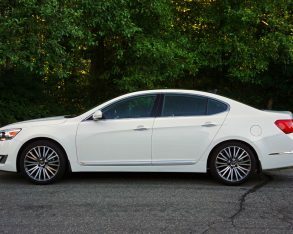 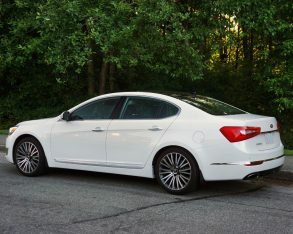 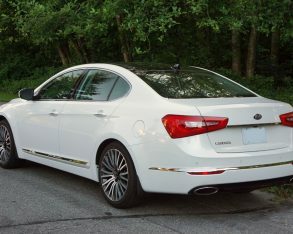 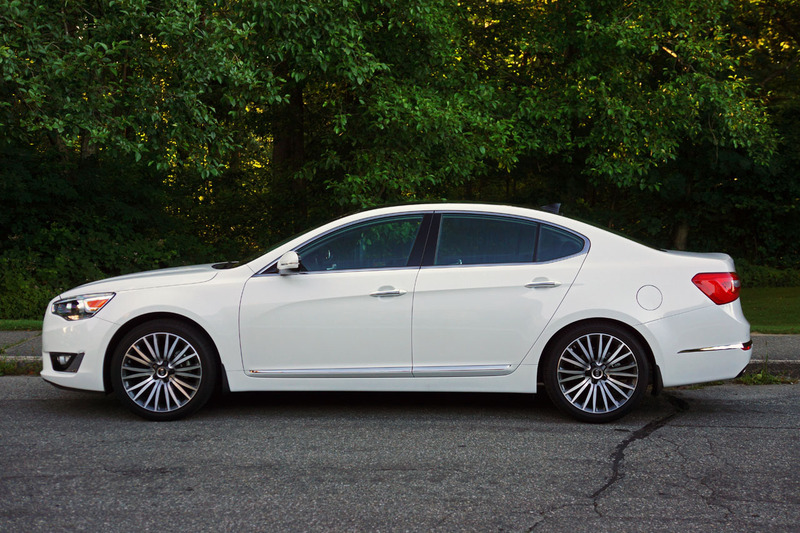 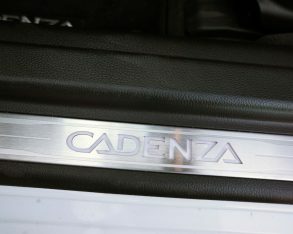 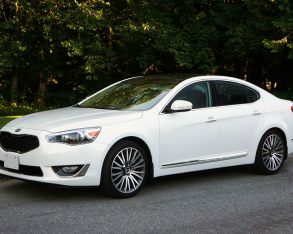 I certainly enjoyed my week with the Cadenza. 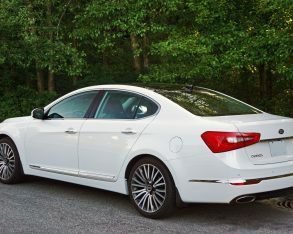 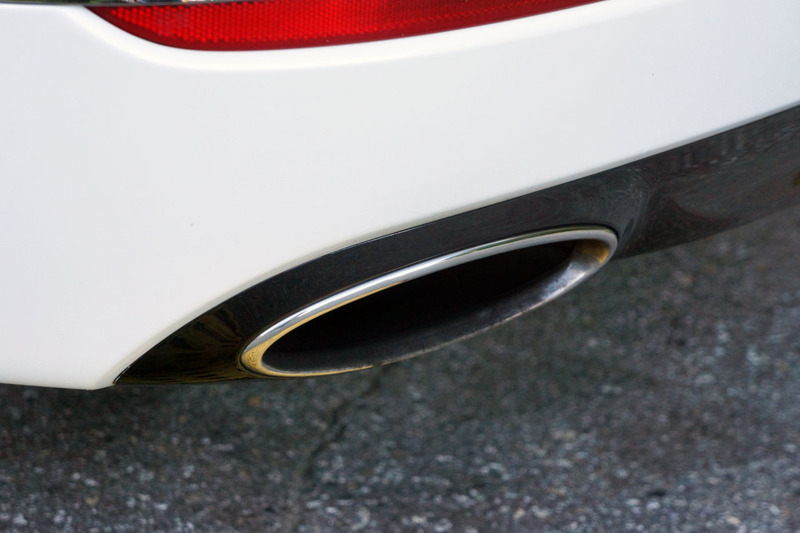 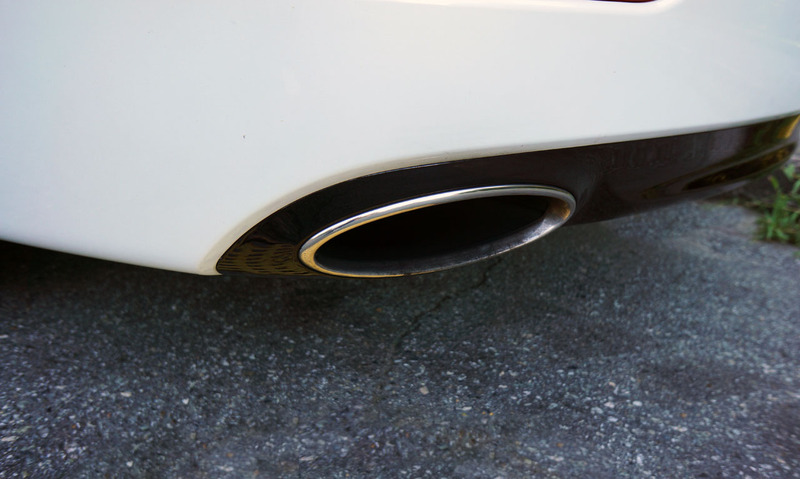 It’s a truly remarkable luxury car from a very unlikely source, and I can’t help but to highly recommend it.